Network » Executive MSc in Cities » A transformational programme for working professionals at the London School of Economics. Nouf works for the Department of Economic Development in Dubai as the Innovation and Creativity Department Manager. She is responsible for transforming the organization from a regulatory and service provider to an innovative agency able to shape the future using futuristic analysis and strategic foresight. As such, she manages key projects under the Dubai Future Accelerator initiative to turn ideas into unique innovations that will contribute to society. She also speaks at local and international conferences about innovation, employees’ happiness and productivity focusing on ways to improve work environment, culture and capabilities. 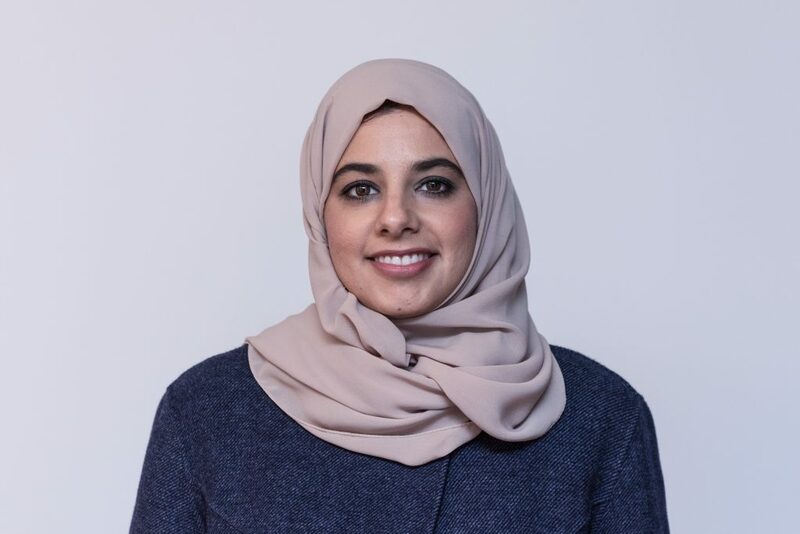 Nouf has previously worked for a number of government entities, including a role in the Prime Minister’s Office analysing competitiveness and innovation reports. She is also an active board member in committees and think-tank groups. She is a graduate from Kingston University in London with a Master’s Degree in business administration and a Bachelor’s degree in pharmacy. Ian is a director at DesignInc Sydney and has qualifications in Town Planning, Architecture and Urban Design. He has over twenty years international experience specialising in the design of large scale master plans with projects in Australia, the UK, China and the Middle East. In Australia, Ian is experienced in all aspects of urban planning and architecture, including the delivery of large scale mixed use communities and transport orientated development. 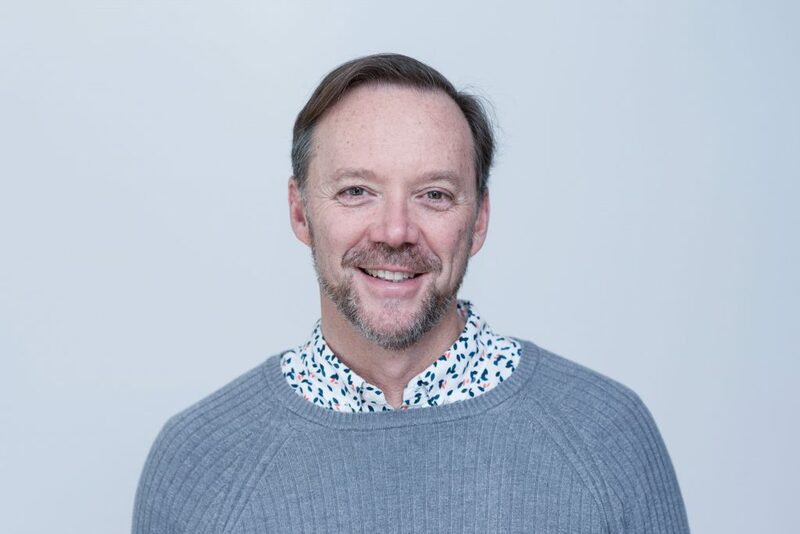 Aside from his professional work, Ian has also been involved with teaching on the University of Sydney’s Masters of Urban Design Course and has been a final year design judge in the architecture faculties at UTS and UNSW. Yerlan is the Deputy Mayor of Almaty city. In this position, he is responsible for the coordination of the energy complex, public utilities, industry, business, trade, small business, agriculture, and sanitary-epidemiological well-being of the city. He is also responsible for implementation of the state program on industrial-innovative development for 2015-2019 years and attraction of investment to Almaty city. 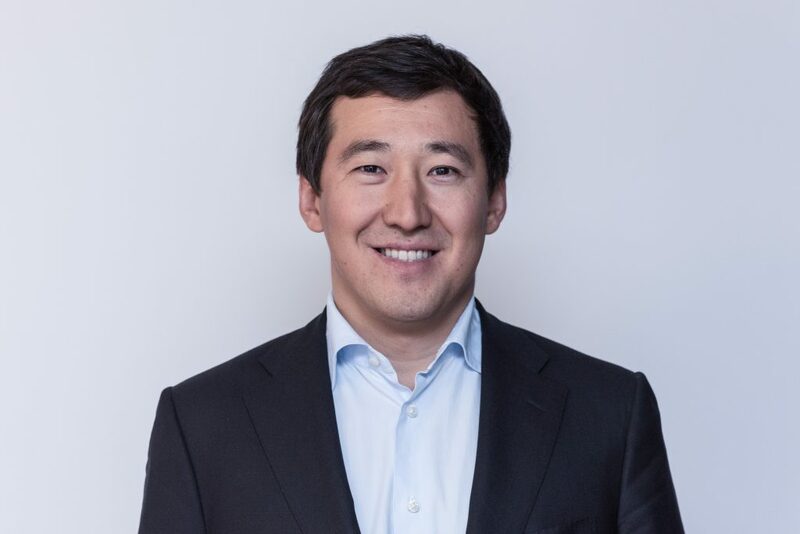 Most recently, he served as the Deputy Mayor of Kazakhstan Province from 2014 to 2015, where he was responsible for the coordination of industry, business, trade, entrepreneurship, tourism, natural resources, innovations and investments. Prior to that, he was a State Inspector of the Department of State Control and Organization of Territorials Operation at the Administration of the President of the Republic of Kazakhstan from 2011 to 2014. In this role he was in charge of external relations, protocol, information communications and interaction with the Regional Election Commission. Yerlan holds an MSc in Public Policy and Programme Management from the University of Bradford, UK and an MBA in Corporate Management from the International Academy Of Business. Joni is a planner, architect and all-around urban enthusiast. He is currently working as the General Director of Planning and Urban Development at the Municipality of Tirana, where he leads a team of 100+ architects, planners and engineers. 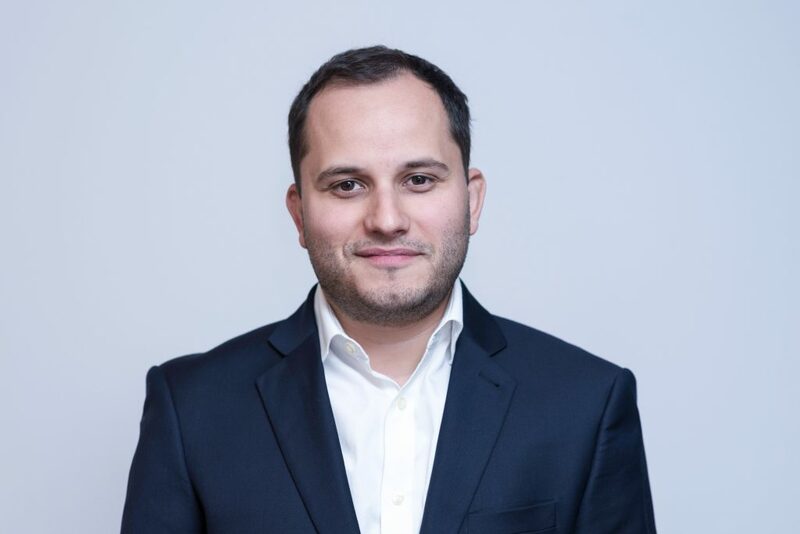 His previous experiences include stints in the private sector as well as a multi-year experience leading a ground-breaking planning and architecture start-up for the Albanian Government nicknamed Atelier Albania. He has meddled with planning and development at different scales whilst working on the national plan for Albania, the regional plan for the coast of the country, and the regional plan for the economic generator of the country, the Tirana-Durres region. His responsibilities at the Municipality of Tirana consist of the surprises, urgencies and expectations of a bustling vibrant capital in the centre of the Balkans. Collaborative creative processes, leading from behind, alternative planning methodologies and quick and practical fixes would best describe his daily duties; but dealing with administrative bureaucracy, piles of paperwork, building permissions and cross-institutional collaboration often gets in the way. He is extremely passionate about architecture and planning and is currently focused on exploring innovation in urban redevelopment while employing more sustainable, implementable and functional planning methodologies. Lealem is the Deputy Commissioner of the Addis Ababa City Government Plan Commission. His main responsibilities focus on Urban Plan Implementation, follow-up and regulation. 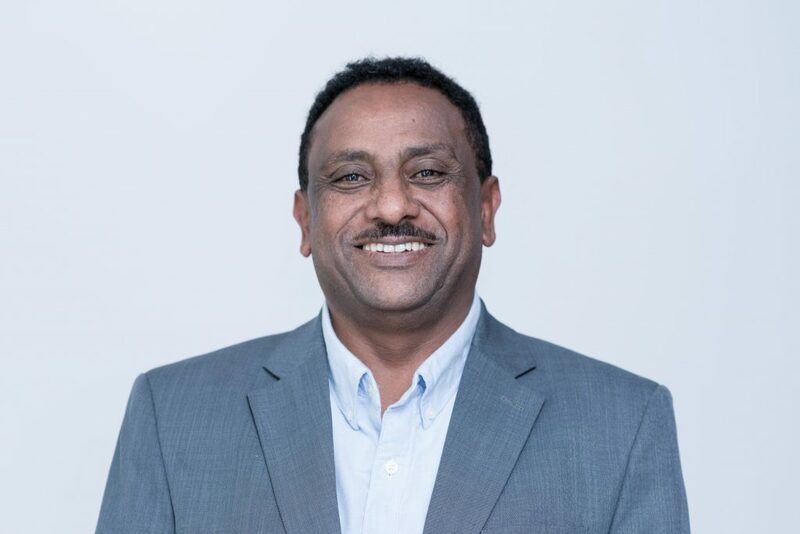 Prior to his current position, he served in the capacity of Deputy Manager in the Addis Ababa City Plan Project Office and participated in the planning process of the new City Plan for Addis Ababa. 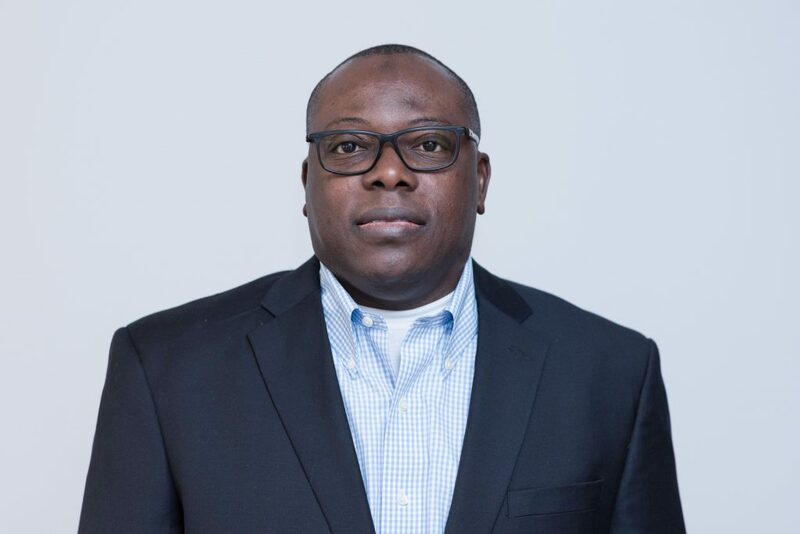 Lealem has also served as Government Housing Development Project Office Manager at a Sub-City level, and has accumulated substantial experience in urban planning and development over the last 27 years. He holds a BSc in Architecture and Town planning from Addis Ababa University, is a registered professional architect and a member of the Association of Ethiopian Architects. Barry is currently working in Pittsburgh and Philadelphia with projects in transit oriented development, FEMA Flood Map revisions, low-income refugee housing and architecturally sensitive infill projects. He has worked in commercial district marketing and development for over 40 years. In some of the urban districts he has had a combined responsibility, including housing. Most of the areas where he has worked have classic urban problems, such as disinvestment, social problems and physical issues. 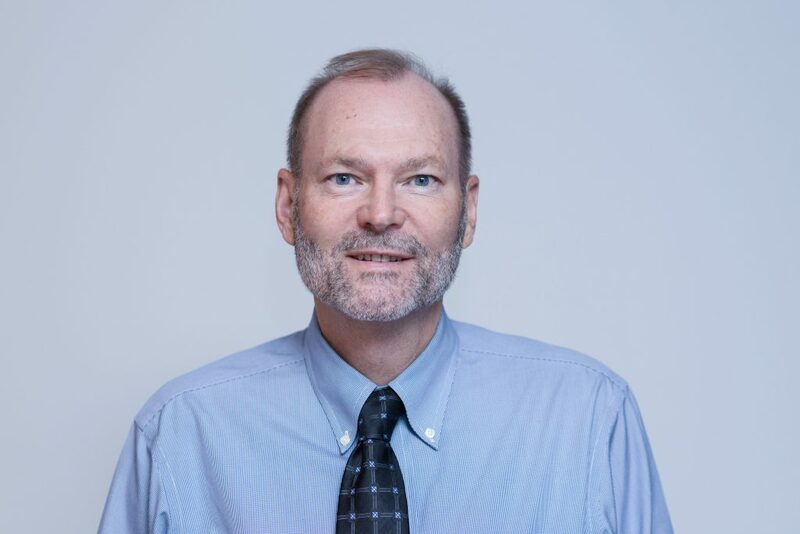 Barry has worked in rural areas, as well as in the cities of Philadelphia, Baltimore, Washington DC, and Memphis Tennessee in a variety of positions. In Philadelphia he has managed the South Street Headhouse District, the city’s main entertainment district, as well as Kensington Avenue (‘The Avenue’) which presented all of the worst social ills the city had to offer. Early in his career, he was a union organizer in the Deep South, organizing predominantly minority industrial workers in the furniture industry. Subsequently, he became an expert grant writer and has secured millions of dollars for clients in the areas of adaptive reuse, transportation, the arts and brownfield redevelopment. The Commonwealth of Pennsylvania has awarded him Laureate status as an ‘Agent of Change’. 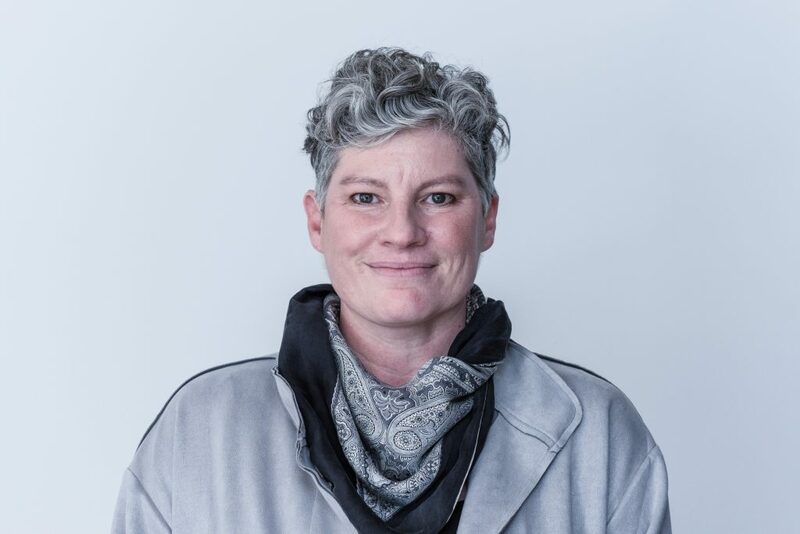 Pauline is an urban designer with experience in master-planning, urban design, architecture, and community and stakeholder engagement in the private and public sectors. 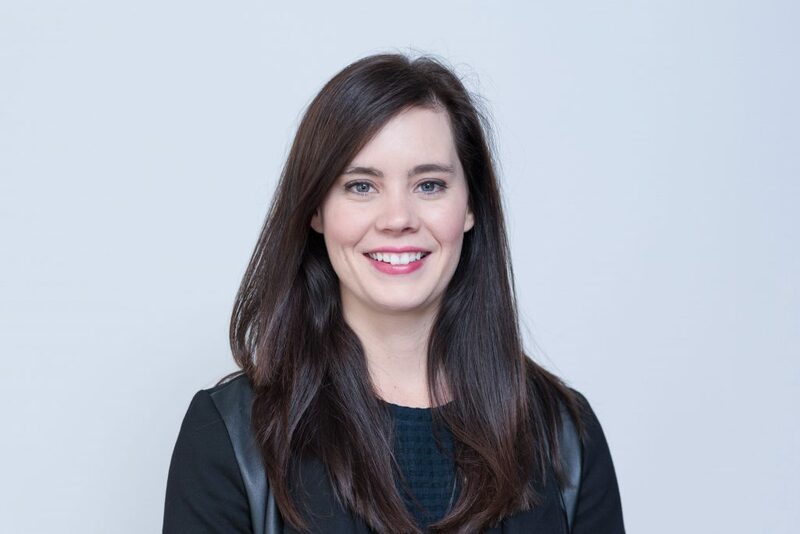 She is currently employed by the City of Sydney Council, working across council and state agencies to achieve good urban design outcomes for the city. 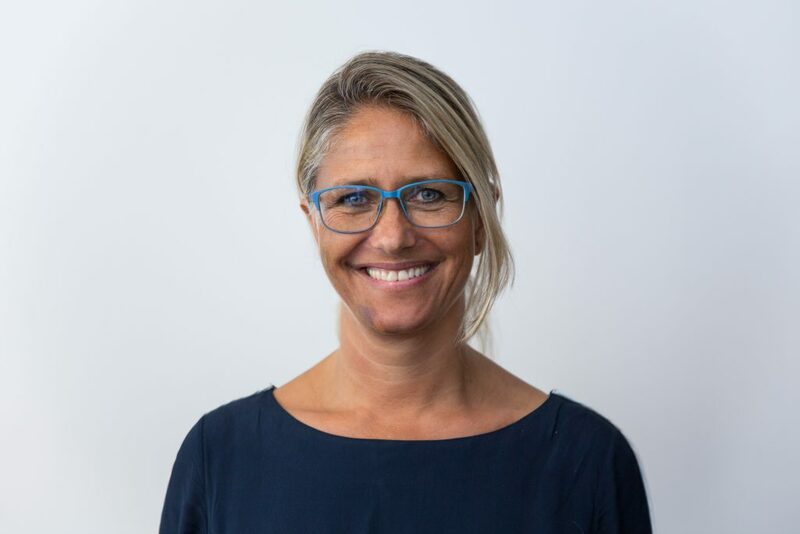 Her role includes the development of public domain plans and public domain design codes, and co-ordination of the City of Sydney’s Design Advisory Panel. 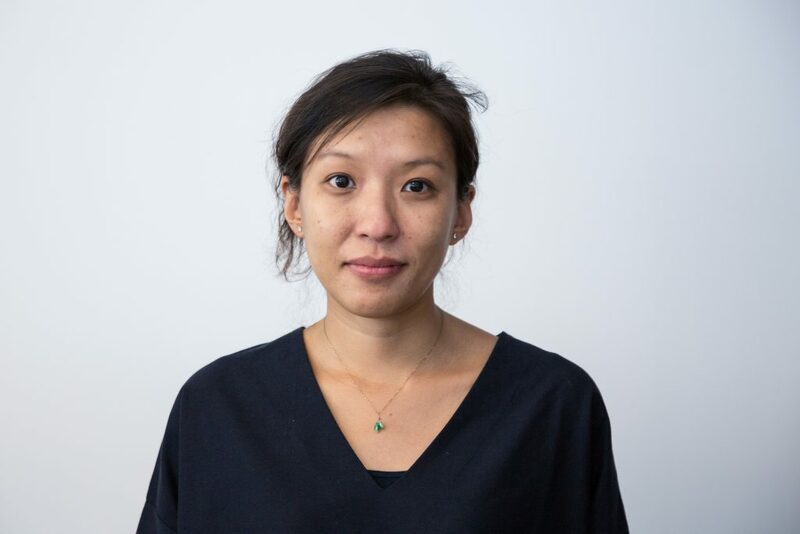 She manages multidisciplinary teams, consulting and engaging with key stakeholders to plan for the future and deliver improvements for city precincts, notably for Sydney’s Chinatown precinct, which won the 2012 Australian Institute of Landscape Architect’s National Award for Urban Design. The latter led to the revitalisation of neglected laneways to include new public artworks, lighting projects and the rationalisation of a complicated traffic intersection to create a new well-loved public space for Chinatown. Pauline is also involved in the application of research and data to affect positive change in cities. Since 2007, she has worked collaboratively with eminent urban experts Gehl Architects to develop Sydney’s Public Spaces Public Life Study and George Street Benchmarking Study, which has helped shape strategic directions for public spaces and streets across the city. 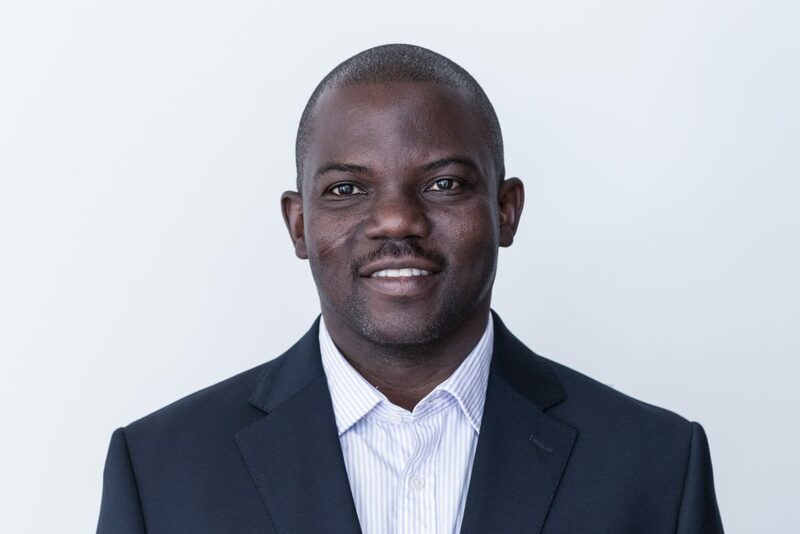 Hastings Chikoko is the Regional Director for Africa at C40 Cities Climate Leadership Group. In this role, he is responsible for the implementation of the C40 business plan in Africa, supporting C40 member cities in Africa in their climate action planning, measurement and implementation, and helping to forge inter-city as well as regional collaboration. He serves on the Advisory Board of the African Centre for Cities (University of Cape Town). His work with local authorities started at the City of Blantyre and later at the Ministry of Local Government in Malawi. Prior to joining C40, Hastings had a long career with the International Union for Conservation of Nature (IUCN) in Zimbabwe, Kenya and the global headquarters in Switzerland. He was also the Interim Regional Director for East and Southern Africa and Head of IUCN in South Africa. Hastings has been one of the International Development Research Centre’s (IDRC’s) African Mentors for policy think-tank groups in Africa and a member of the Regional Technical Committee for the Global Water Partnership (Southern Africa). He holds academic qualifications in Economics (University of Malawi), Environmental Diplomacy (University of Geneva – Switzerland) and Strategic Management (University of Derby – UK). Jeff is a Partner at Studio tla, a Toronto-based Urban Design and Landscape Architecture firm. In his role as Principal and Design Director he provides firm leadership and oversight in the design and management of complex private and public development projects. 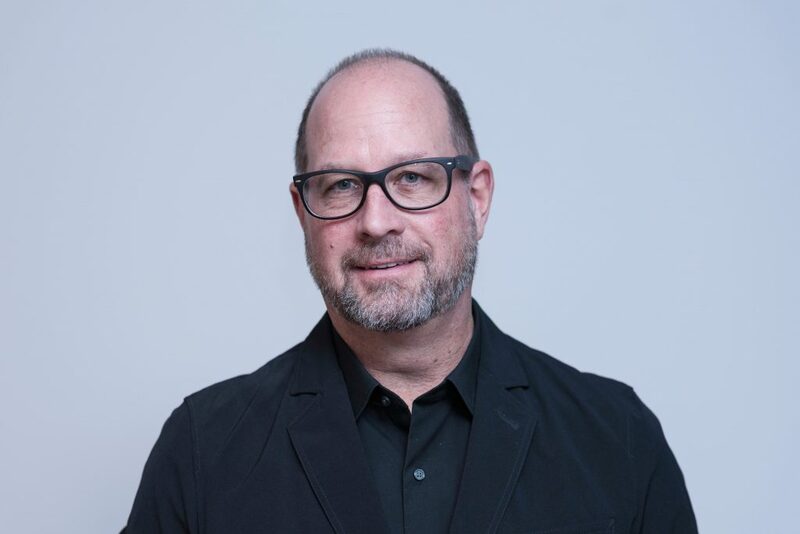 Prior to joining Studio tla, Jeff was a Partner and Design Principal at the SWA Group, residing in Dallas and Shanghai. His clients include public agencies and the largest private developers of planned environments, civic, institutional, and mixed-use urban venues in North America, China, India, and the UAE. 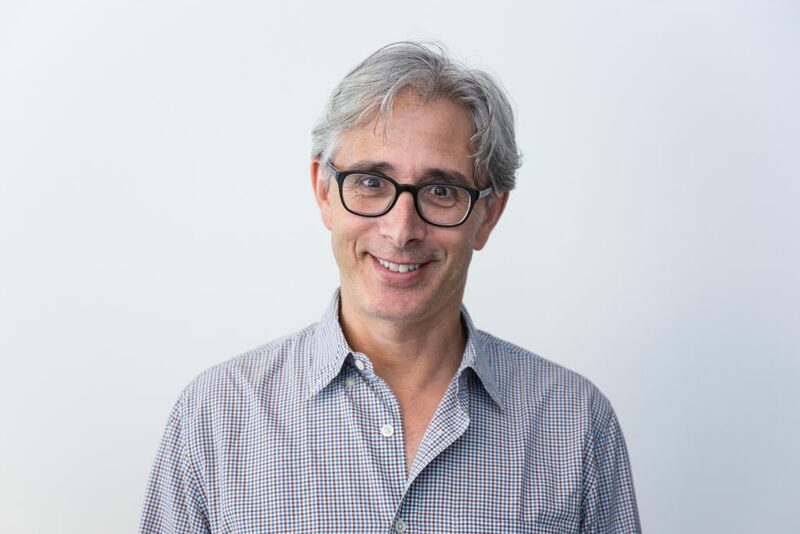 Andrew Davies is the Executive Director and Co-Founder of the charitable arts organisation No.9: Contemporary Art & the Environment located in Toronto, Canada since 2007. He received a Bachelor of Fine Arts from Queen’s University and Master’s in Architecture from the Southern California Institute of Architecture, Los Angeles. For five years Andrew was employed at the Museum of Modern Art in New York City. While at MoMA, he designed and administered over thirty international museum exhibitions. He returned to Canada in 2002, and founded Andrew Davies Design, which was responsible for the preliminary Interpretative Design Strategy for Evergreen at the Brickworks in Toronto, with the mandate to transform an industrial heritage site into an international showcase for urban sustainability and green design. Andrew Davies Design has provided art consultation services for numerous major public art projects in Toronto, including the NXT Gardiner Expressway Gateway Project, the Mississauga Master Public Art Plan and the Pan Am Aquatic Centre. Davies taught at Eyebeam Atelier in New York and at George Brown College in Toronto, Canada. He has spoken at lectures, reviews and symposiums around the world, including MIT Media Lab, Columbia University and MoMA. He served on the Educational Advisory Committee at the Art Gallery of Ontario and currently sits on the Environmental Advisory Committee for the Toronto District School Board. He resides in Toronto with his wife, Elizabeth and their two children, Hanna and Rupert. 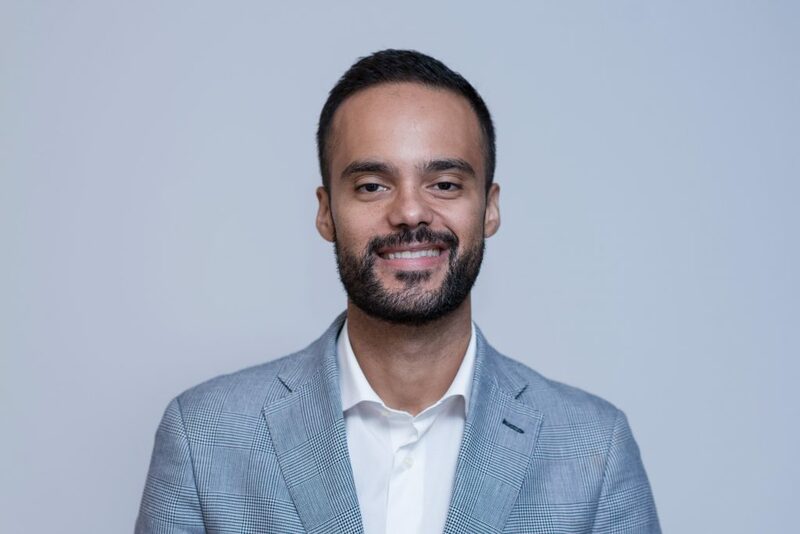 Caio is a Brazilian diplomat currently posted to the embassy of Brazil in Kinshasa, DRC, where he works as Deputy Head of Mission. Responsible for the political, cultural and cooperation affairs between his country and DRC, he is witnessing first-hand the challenges related to the massive on-going urbanization process in Africa. Previously, Caio worked at the embassy of Brazil in Kuwait and as cultural attaché in Italy, where he was part of the team responsible for the participation of Brazil at the Venice Biennale and the Milan Expo 2015. Back in Brasília, Caio worked at the presidential palace organizing national and international trips made by Brazil’s president. Being a Brazilian career diplomat for the past 10 years, Caio strongly believes that both city and state diplomatic actors can complement each other while engaging in activities to advance the interests of the city or the country overseas. In view of the growing role that cities play in international affairs, Caio is keen on exploring and developing the concept of city diplomacy. Mahmoud is currently serving as the CEO of Dubai Real Estate Institute. He is also the Vice President of International Real Estate Federation (FIABCI, UK) and sits on the board of the International Real Estate Society (IRES). 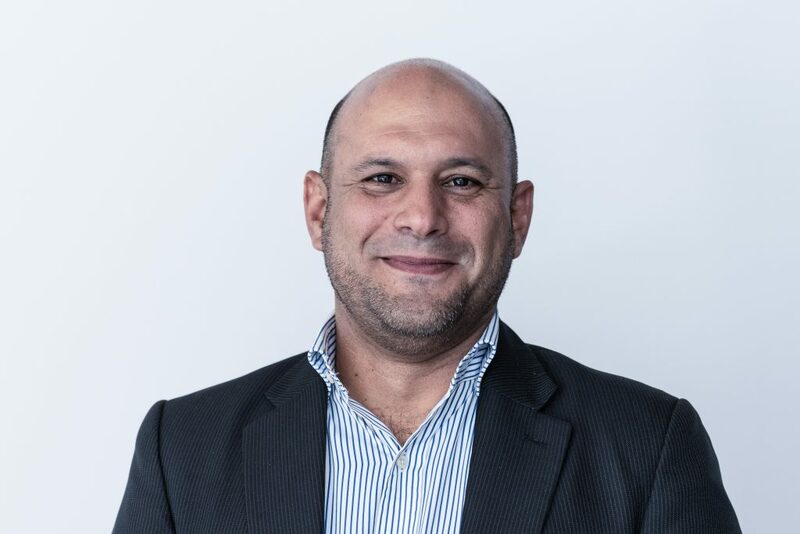 Mahmoud has been selected to be FIABCI representative at the United Nations Economic Commission for West Asia (UNESCWA), and also represents the UN Global Compact in the MENA region and the Lead Affordability Working Group at the World Economic Forum. Prior to his position at the Dubai Real estate Institute, Mahmoud worked for three years as Senior Director of the Real Estate Sector Development at the Real Estate Regulatory Authority of Dubai and spent several years as a Development Associate Manager at Dubai Holding. 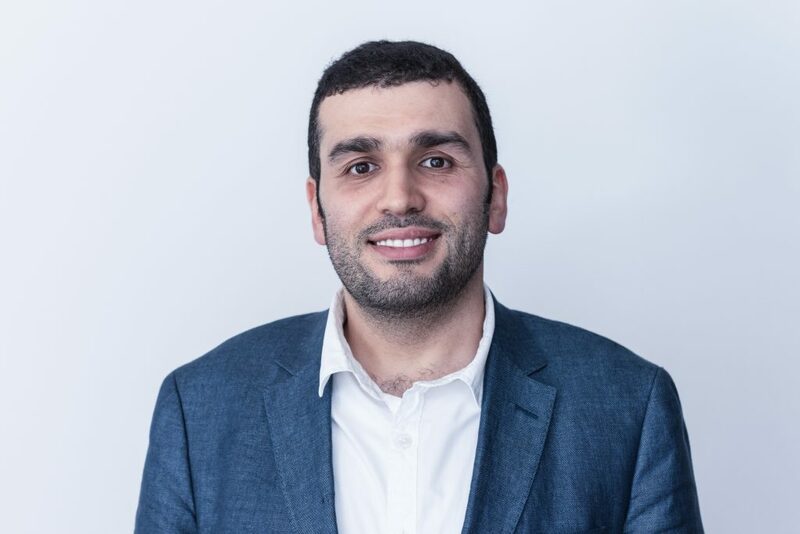 Mahmoud completed his bachelor’s degree in engineering at the American University before continuing on to earn his Master’s in Real Estate from the National University of Singapore. Mahmoud completed his MBA in Finance from his alma mater, American University of Dubai in 2010. He is now pursuing his DBA at Grenoble École de Management in France. Tommaso Franzolini (AA Dipl – RIBA) is a practicing architect and researcher focusing on the impact of emerging technologies on infrastructure, urbanism and architecture. Tommaso is currently an associate with the Advanced Technologies team at Scott Brownrigg Architects in London. The team focuses on the strategic planning and architectural design of complex technology-led projects, including the masterplan and vision of NuGen’s Moorside Project: a £15bn nuclear new build development in Cumbria (UK). Previously he worked at Foreign Office Architects in London for a wide range of UK based commissions and international competitions, most notably as the project architect for the redevelopment of Birmingham New Street Station with responsibilities of managing a multi-disciplinary design team, liaising with local authorities, and preparing planning and tender documents. In parallel, Tommaso maintains an active involvement with global research institutions such as the Architectural Association and NTU in the UK, the Weimar Bauhaus in Germany and the Polytechnic of Milan in Italy. He is the founder and director of Factory Futures: a think tank at the Architectural Association founded in partnership with the Adriano Olivetti Foundation and Gehry Technologies Europe. Factory Futures focuses on the European industrial heritage as a cultural matrix for a new productive landscape, including the development of innovative architectural strategies through computational design and manufacturing techniques. 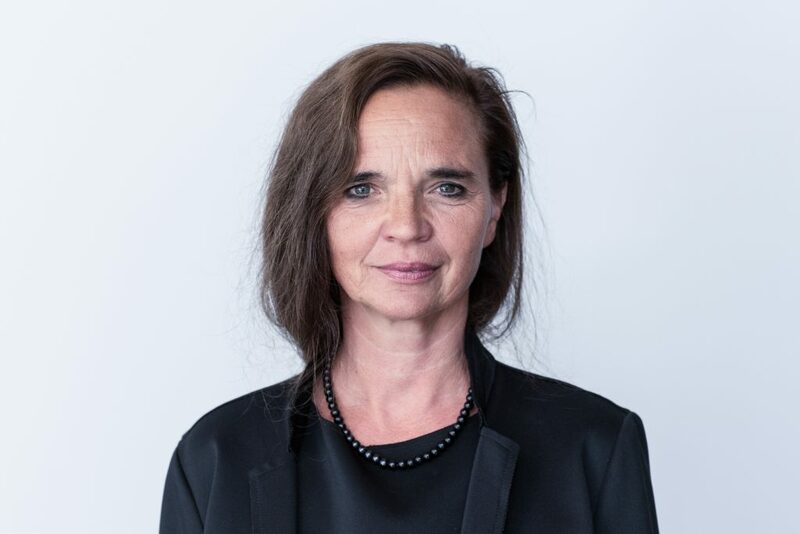 Anette Galskjøt, CEO at the International Federation for Housing and Planning (IFHP), has a long career including investment banking, IT and public service. She has a law degree from Copenhagen University and an LLM from King’s College, London. Since June 2015 Anette has led the 103-year old member and partner based federation IFHP. IFHP originated from the Garden City movement and works to make cities better for people and housing for all through innovative urban labs and with its worldwide network of urban experts. Mai-Ling has worked over the past decade to untangle complex government processes and support community innovation. She is currently the City of Oakland’s Online Engagement Manager where she works to transform government processes and experience for Oaklanders. She is a co-founder of Oakland’s Civic Design Lab, a collaboration space for government staff and the Oakland community. Mai-Ling began her career working at Swords to Plowshares, a forty-year-old San Francisco-based service organization. As the agency’s first policy analyst, she worked in the heart of San Francisco to identify and communicate the struggles of at-risk and chronically homeless military veterans. She has presented to the California State Senate, the U.S. Veterans Administration and other key decision makers on enhancing government processes. Later she joined the US Department of Labor to manage grants to hundreds of non-profit employment programs that included over one hundred community partners in eight western US States and Guam. In 2012, she was named an Executive Management Fellow by the Federal Executive Board of San Francisco and New Leaders Council Fellow. In 2017, she was named one of America’s top 100 local government officials by Emerging Local Government Leaders, a professional association for city government. Marc Glaudemans is professor of urban strategies at Fontys School of Fine and Performing Arts (FHK) in Tilburg. He is also the director of two MSc programmes in architecture and urbanism at Fontys. In 2006 Marc founded the Stadslab European Urban Design Laboratory, a postgraduate international programme. Stadslab has developed into an international think tank and urban design laboratory, with a track record of programs in Europe (Portugal, Netherlands, Serbia, Poland, Hungary, Georgia, Ukraine) and Asia (Japan, Vietnam). Marc graduated in Architecture and Urbanism and holds a PhD in Architectural Theory and History. In 2014-2015 he was visiting professor at the Institute for Design and Urbanism at ITMO University in St Petersburg. Marc’s professional career is driven by understanding cities and their ongoing transformations, combining the reflexive potential of an academic standpoint with the hands-on mentality of professional practice. As a working method, this comes alive in the Stadslab European Urban Design Laboratory, which combines design skills and a design thinking approach to complex, real-world urban challenges. Ali serves as the Vice President of Marketing and Communications for Strategic Property Partners (SPP) where she is responsible for marketing and consumer-facing communications efforts for SPP and its initial project, Water Street Tampa. The phased Water Street Tampa development project is revitalizing the currently underutilized tract of land in downtown Tampa to create an urban, mixed-use waterfront district consisting of approximately nine million square feet of new commercial, residential, hospitality, cultural, entertainment, education, and retail uses, totalling over $3 billion in private investment from SPP. 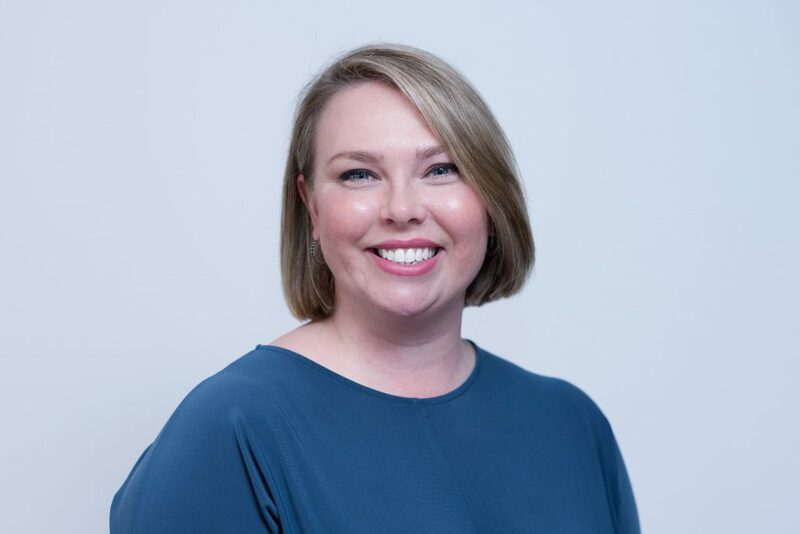 Prior to joining SPP, Ali worked for the City of Tampa as Public Affairs Director where she was an advisor to Mayor Buckhorn, while maintaining responsibility for all marketing, public communications, and advertising for the City of Tampa. Glisson received her Bachelor of Arts in International Affairs from the George Washington University. Richard Greco is an optimistic technologist and a futurist. He is fascinated with the IOT, M2M, Artificial Intelligence, 3D printing, autonomous vehicles, and how new technological developments in these areas will change our lives, disrupt existing business models, create new business opportunities and enable the creation of smart cities. 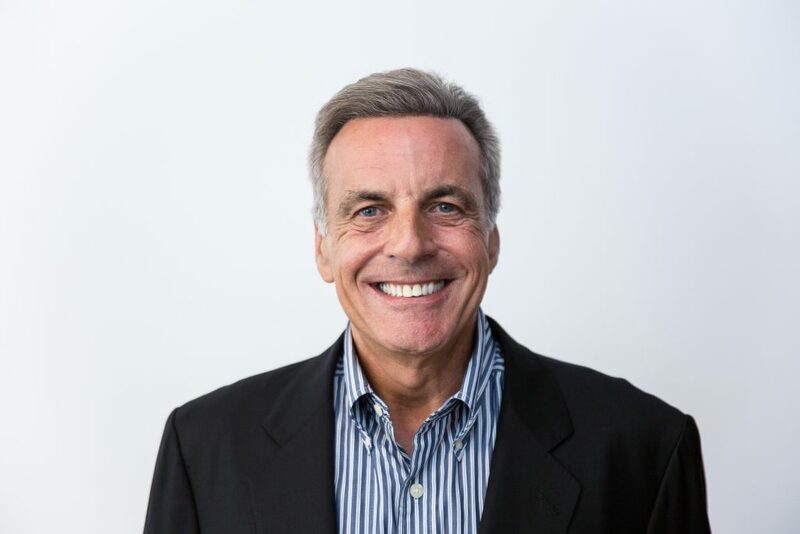 He spent over 20 years in “corporate America” with companies like ITT, General Dynamics, Nortel, Bell Atlantic, Loral Orion and ICO Global Communications. 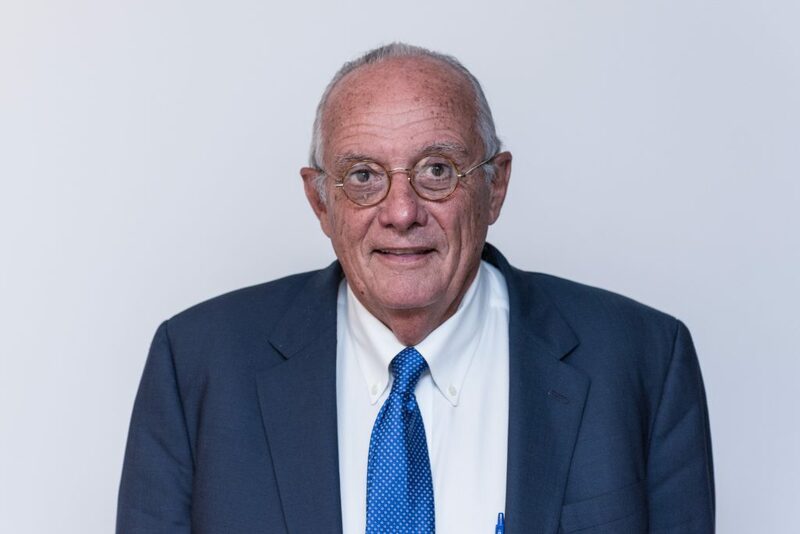 In the mid-nineties, he helped to establish Orion Network Systems as the “Internet Satellite Company.” Orion was a pioneer in the delivery of the internet via satellite connecting over 70 countries back to the US. 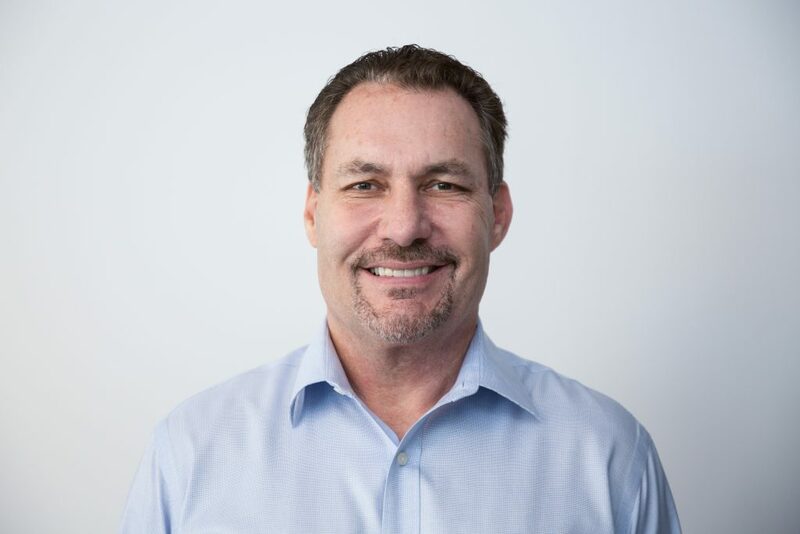 While he was Orion’s President, the company raised over $700M in debt for constellation expansion, secured a NASDAQ listing for Orion and sold the company to Loral. Richard was subsequently recruited as CEO for London based, NASDAQ listed, ICO Global Communications which he restructured and sold out of Chapter 11 to a group of international investors for over $1 Billion. He become an entrepreneur in 2000, founding, growing and later selling Bulldog Broadband, the UK’s second largest DSL broadband company. In 2005, he created Treasure Investments, which invests in real estate and tech and telecom companies. He presently serves as Chairman for one of those companies called Edifice. When not travelling, Richard lives in Key Largo, Florida with his wife of nearly 25 years. They have three adult children and two grandsons. 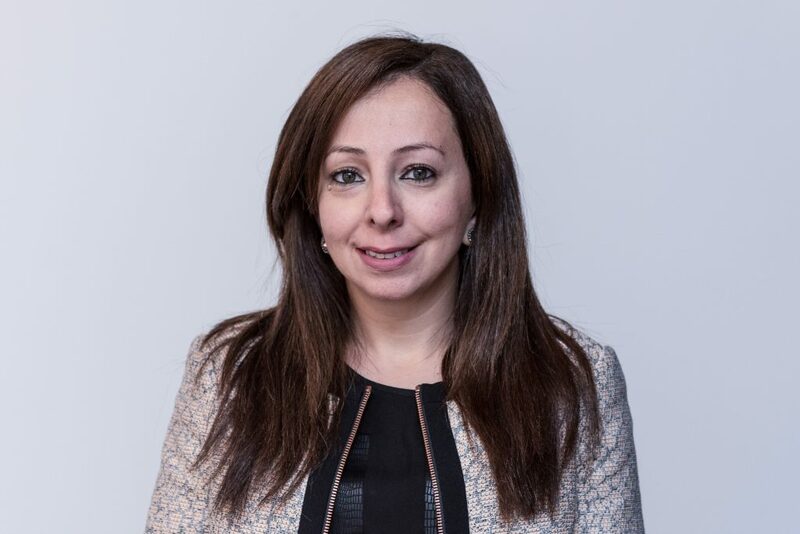 Rana is a Project Manager who has been managing and delivering construction and development projects for the past twelve years across various cities in the Middle East region; mainly in Beirut, Dubai, and Doha. Her experience to date has been predominantly with the multinational consultancy firm AECOM (and previously Davis Langdon), and her most recent tenure was at their Qatar office working on projects for clients in leading oil and gas companies. Rana has recently decided to relocate back to her homeland Lebanon and will be focusing on pursuing an Executive Masters in Cities at LSE while potentially exploring new career opportunities. In her own time, Rana has worked extensively in the non-profit sustainability field. In the past few years she has been an active member of the interest groups created by the Qatar Green Building Council, where she worked with local universities on raising the new generation’s awareness about the environmental aspect of sustainability in new buildings and development projects. Rana holds academic qualifications in Civil Engineering (American University of Beirut, Lebanon), Project Management (American University of Beirut, Lebanon), and Sustainable Development (SOAS, London). Tsugumi Harada is a policy maker for the Socio-economic Unit of Japan’s Cabinet Office, developing policy framework for promoting social entrepreneurship and business growth. Connecting seeds of innovative ideas with financial means, she is part of the mission to catalyse public involvement in bringing social impact and tackling inequalities. 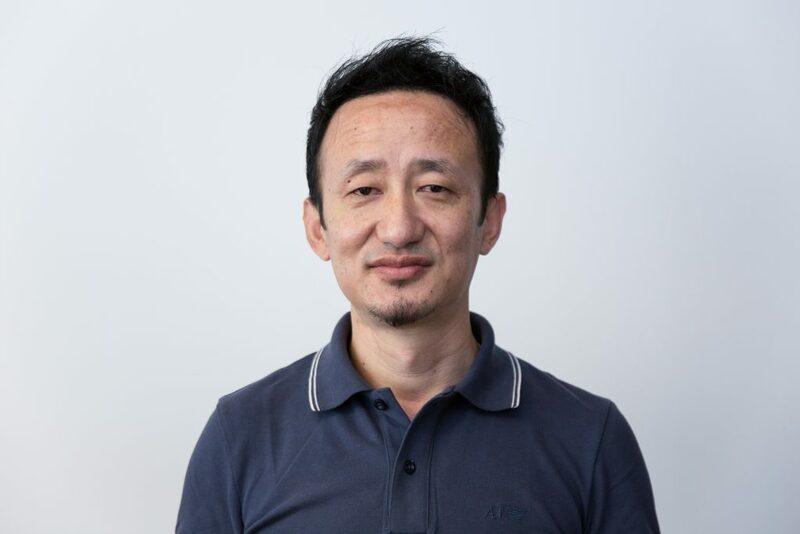 With degrees in architecture and civil engineering from Waseda University, Tsugumi has over 14 years of experience in Tokyo and in London as a technology professional for the top-tier financial sector. Designing operational resiliency into banking platforms, delivering projects of both local and global scales, she was a solutions architect, specialising in European markets and regulatory initiatives. 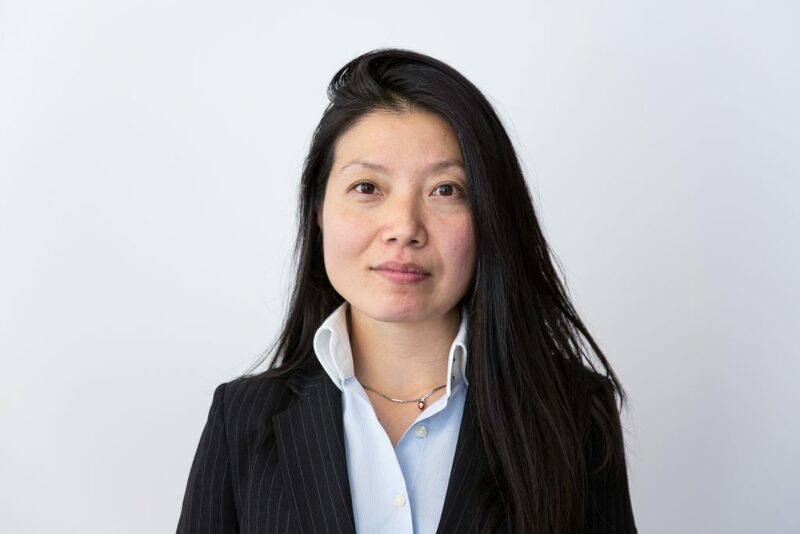 During the last three years of Tsugumi’s tenure she was the EMEA head of technology risk and incident management team for Morgan Stanley’s Fixed Income franchise. In 2014, her passion in education and youth outreach has led to completion of a certificate course in Coaching at University of Cambridge ICE. Since then, she is actively involved in mentoring young people through charities of her choice including the Queen’s Young Leaders Program. Claudia is Creative Director at HLA (Harari Landscape Architecture). She is also the CEO and guides the studio in its creative and work line, focusing on urban scale projects which involve local and aesthetic values that make highly meaningful projects for users and the towns where they are located. As leader of the profession in Mexico, she lectures and sits in design juries nationally and internationally. Her project for the BBVA soccer stadium became the first LEED accredited Soccer Stadium in America and was declared “the most beautiful soccer stadium worldwide” by the BBC. In this and other large scale metropolitan parks and public spaces in Mexico, HLA is collaborating in changing the role of administering these spaces from local governments to the private sector. She has been influential in introducing Landscape Architecture as the new Urban Design practice in Mexico with the design of new urban developments, town centers, and urban redevelopments. Claudia served at Harvard’s Graduate School of Design Alumni Council and City Parks Alliance board, belongs to the International Federation of Landscape Architects and the American and Mexican Societies of Landscape Architects. She was also included in Phaidon’s book 30:30 Landscape Architecture as one of the most influential upcoming landscape architects. Brett is a Member of the Mayoral Committee for Transport and Urban Development in the City of Cape Town. The Mayoral Committee is the equivalent of a government ‘cabinet’ and Brett was appointed to the Mayoral Committee by the Executive Mayor of the City of Cape Town. Brett’s portfolio was created in January 2017, following a restructuring of the City’s administration, to bring alignment between Transport, Spatial Planning and Housing (formal public housing). The key objective is to transform the spatial form of the city which still exhibits the apartheid spatial logic of segregation with poorer, mostly black, residents living on the outskirts. Prior to the re-alignment of the city’s administration, and the resulting political leadership’s portfolio allocations, Brett was the Member of the Mayoral Committee for Transport. Brett is a lawyer by profession and has served as an elected public representative since 2009. He has been part of the City’s Mayoral Committee since June 2010 - serving for one year as the Member responsible for Community Services until May 2011 when he took over the transport portfolio. 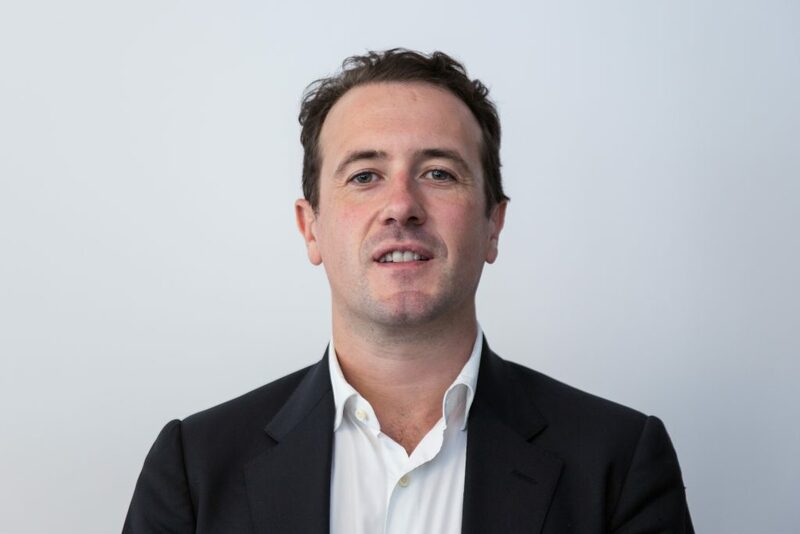 Simon is an EMEA Regional Director at JLL, responsible for Development & Land in the UK, where he specialises on residential led mixed use development. His career spans 30 years and over the last 10 years he has been advising clients on strategies to optimise value of several London landmark assets, including New Scotland Yard for the Metropolitan Police and Battersea Power Station. Both of these are under construction to be regenerated as residential led projects. More recently Simon has advised several London Boroughs on their own local asset strategies, where the schemes are of a much larger scale each comprising in excess of 15,000 new homes, with community/neighbourhood centres and employment space. Simon is also an advisor to Ministry of Housing, Communities and Local Government, where he joined a task Board to investigate the performance of 5 public bodies and their objective to release land for strategic housing supply. He is also a retained advisor to Defence Infrastructure Organisation (the property advisory unit for the Ministry of Defence) Simon attended the CBI Leadership Course in 2016/17, he is a Residential Council member of the Urban Land Institute, and holds a BSc (Hons) in Urban Estate Surveying. As an Architect and Urban Designer trained in South Africa and Australia, Kathi Holt has committed much of her professional life across four continents to education, research and engagement. 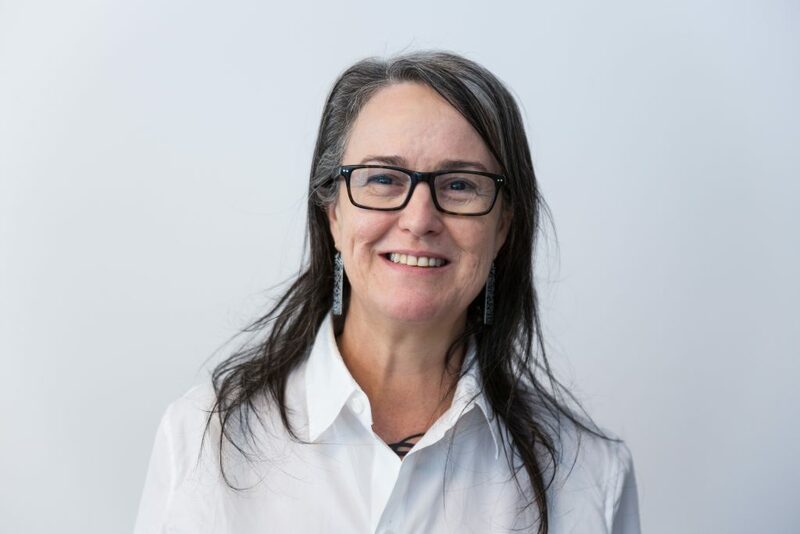 Teaching architecture for the last twenty-six years at many leading Australian Universities she has become increasingly drawn towards Urban Design; heading up the UD Discipline at Queensland University of Technology for the last eight years. Kathi has used the University as a laboratory; the students as scientists; and the city and its many players as the site of operations to interrogate urban problems. She harnessed these challenges to drive the pedagogy and frameworks for teaching. Kathi now has her own research and design practice – Nerø Holt – consulting to government agencies, community groups and not-for-profit entities to create innovative solutions for urban challenges. Olusola Ikuforiji is an environment and water resources professional at the African Development Bank (AfDB) in Abidjan, Cote D’Ivoire, where she has worked in different capacities applying an environmental sustainability and climate resilience lens to investment projects spanning the water and agriculture sectors. In her current role, she is contributing to the development of water infrastructure projects that address climate resilience and advance sustainable management of water resources in sub-Saharan Africa. She has developed keen interest in the urban space and motivated to understand how resilience and sustainability can be forged in African cities. Olusola aims to promote integrated and inclusive infrastructure development in urban areas of Africa. Prior to joining the AfDB, she worked with the World Bank in Washington DC as a water resources management specialist. Olusola holds a Masters in Environmental Management from Yale University (New Haven, CT USA) and a Bachelor’s of Science degree in Aquatic Biology from Lagos State University (Lagos, Nigeria). Anupma is the Senior Urban Development Specialist in the Pacific Department of the Asian Development Bank in Manila, Philippines, where she has worked for the past thirteen years leading design and administration teams that deliver inclusive and resilient urban and water projects. Anupma has extensive experience in health and social development and strives to ensure projects are equitable, inclusive, and demand-driven. She has also conducted due diligence on more than fifty urban infrastructure projects, where she provided support on resettlement and indigenous peoples issues. 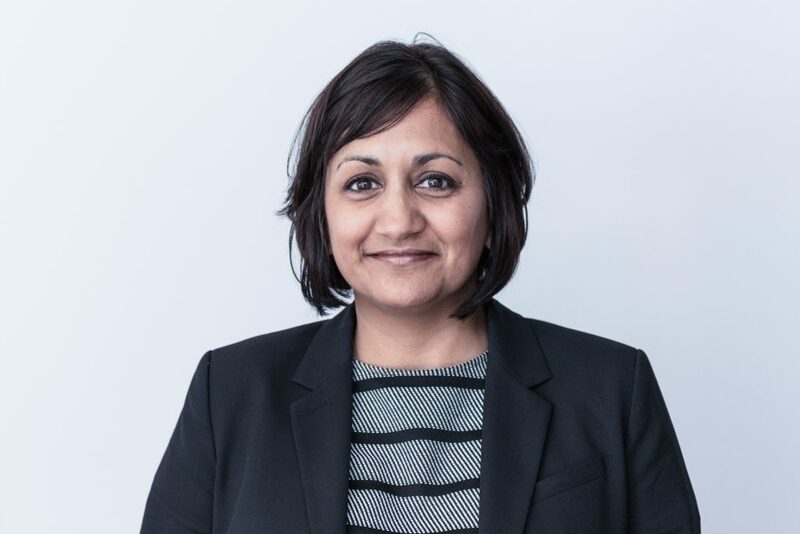 To date, Anupma has nearly twenty years’ experience in international development and has worked across different sectors and regions, including the Greater Mekong Sub-region, Southeast Asia, South Asia, and East Asia. Previously, she was the Practice Lead and Senior Director for Gender and Social Inclusion at the Millennium Challenge Corporation in Washington, DC. 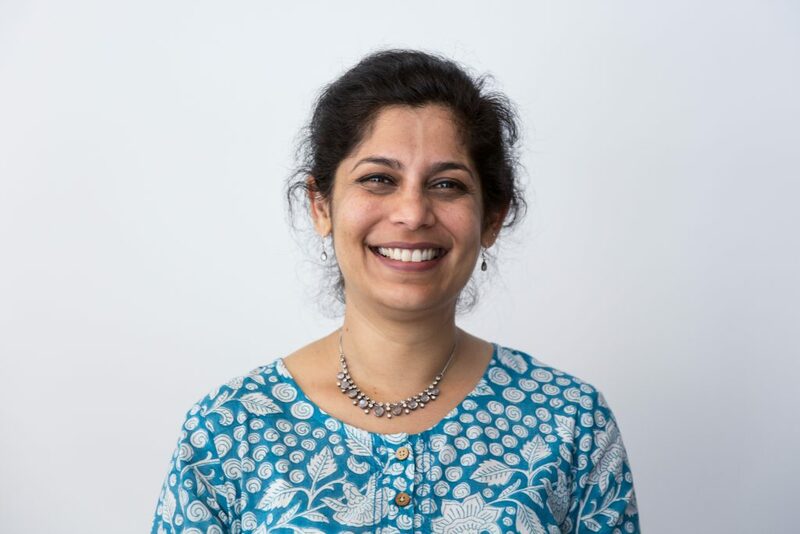 Anupma holds a PhD in Social Policy and an MSc in Development Studies (Social Policy and Administration) from LSE, and a double BA in Economics and Anthropology (High Honours) from Brandeis University (Waltham, MA, USA). Alex is a civic designer and social entrepreneur. In 2014, Alex founded Cities Reimagined, a civic design firm that employs principles of design to solve complex challenges in urban cities. Most recently, Alex has been based in Detroit, Michigan working on a public/private partnership to make business licensing and permitting a smooth and simple process for entrepreneurs. Prior to her work in Detroit, Alex worked with public leaders in Central Virginia to create an innovative workforce pipeline to fill gaps in local manufacturing firms. This work was recognized by the White House Economic Council in 2015 through President Obama’s TechHire initiative. When she isn’t rapid prototyping and playing design games with public servants, Alex is playing fiddle in the Johnston Family Band and exploring new places and cultures. She is also a regular public speaker with emphasis on urban innovation and systems design. 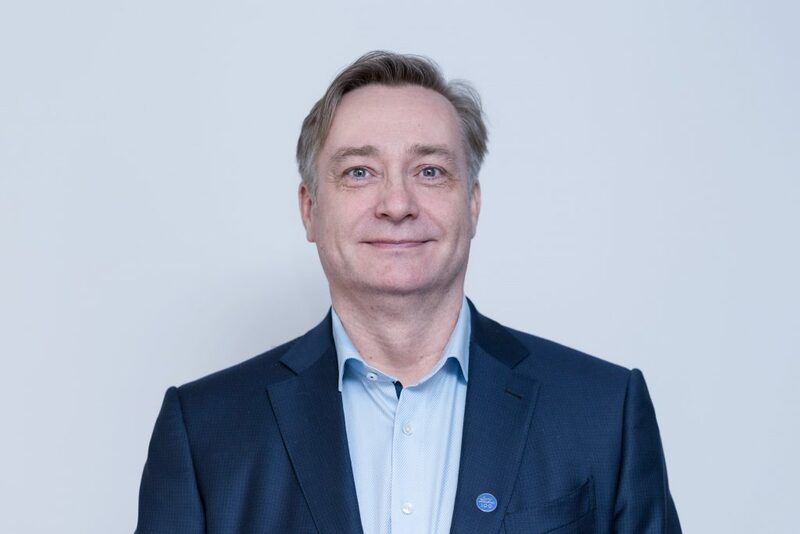 Kari is the Chief Sustainability Officer of the city of Tampere, Finland and is responsible for the city’s sustainable growth and development policies and their execution. 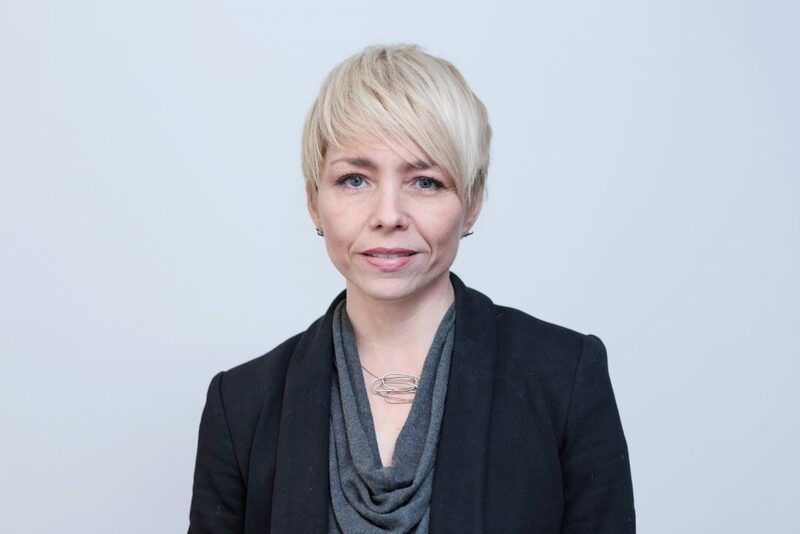 Kari is a member of the Prime Minister’s Sustainable Development Task Force and was a member of the Minister of Environment’s Task Force for Energy Efficient Finland 2017. He has worked on a broad spectrum of projects in strategic urban and economic development and is currently most actively involved with smart and sustainable city development and with the city’s strategic initiatives on urban and economic development. Prior to joining the city in 2007, Kari held roles in the private and public sectors both in Finland and in the US, including CEO of a service business consultancy, director at an innovation fund with focus on high tech venture capital investments and technology transfer, as well as a research career in physics. Kari is a current and past board member of over twenty companies and has worked with and consulted organizations in the US, South Africa, Russia, Sweden, Denmark, Vietnam, Japan and the European Commission, among others. He holds a PhD from Tampere University of Technology. Gbolahan is the Commissioner for Housing in Lagos State, Nigeria where he is tasked to oversee the planning and implementation of Lagos State Housing policies. These include a rent-to-own initiative which potentiates the movement of a large number of Lagos State residents to the home ownership ladder, and the Lagos Affordable Public Housing (LAPH) programme, a joint venture initiative with the private sector aimed at constructing 20,000 housing units within the next 4 years starting from year 2017 (tagged 20,000:Y2020). As the Commissioner for Agriculture and cooperatives between July 2011 and May 2015, the State‘s food security profile improved through interventions he oversaw across the agricultural value chain. Gbolahan was commissioned as an ASP in the Nigeria Police Force and retired voluntarily as a Superintendent (1996 -2008). Gbolahan is a board member, Lagos State Security Trust Fund from 2011 till date. Gbolahan holds a BSc in Botany (University of Port Harcourt, Nigeria) and an MSc in Violence, Conflict and Development (School of Oriental and African Studies, SOAS, University of London) along with an Advanced Management Programme (AMP) and a Certificate in International Housing Finance (Wharton School, University of Pennsylvania, USA). Gbolahan is an alumni of the Havard Kennedy School of Government and World Bank Institute. 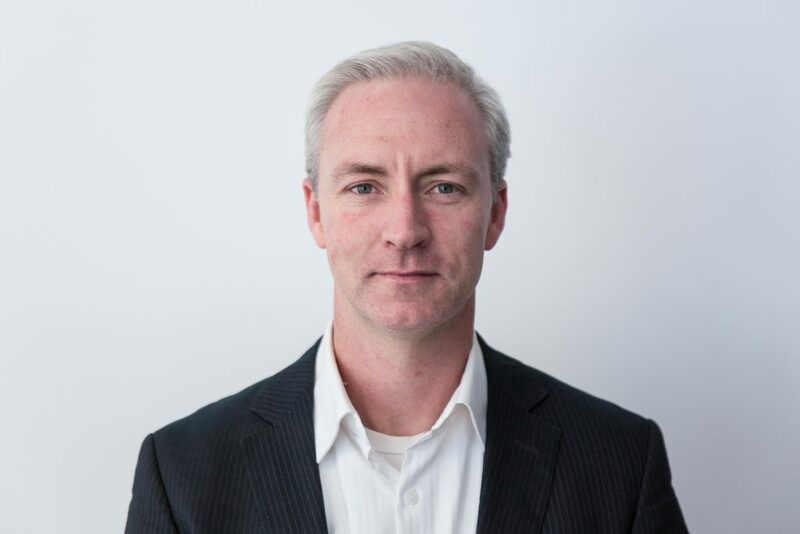 James Leahy, PE, LEED AP® is a Senior Consultant for DNV GL. He is a professional Civil Engineer registered by the State of California and has a diverse background in engineering design, planning, and policy development. 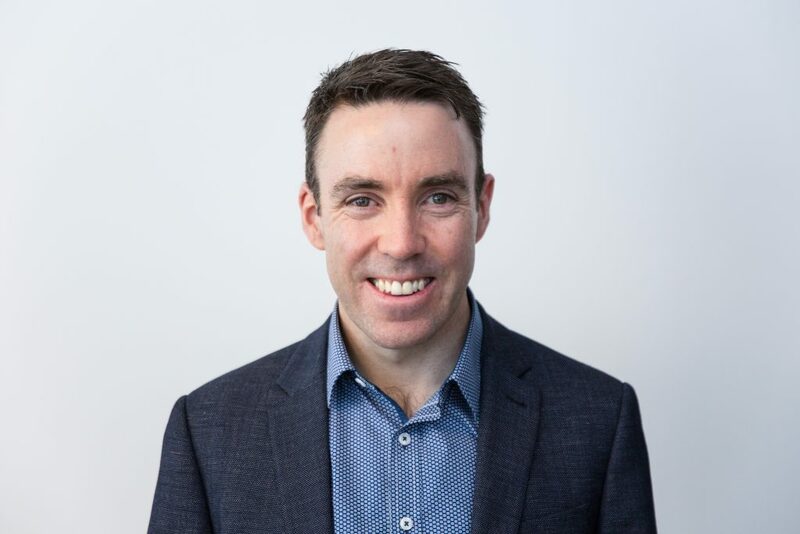 As an energy consultant, James assists clients in establishing energy performance and environmental standards to build community resilience and support greenhouse gas emissions reductions. He works with cities and utilities to develop sustainable and resilient design strategies, integrate clean distributed energy resources and increase energy efficiency. He is adept at promoting community and organisational sustainability through education, stakeholder engagement, and providing engineering and technical guidance on the latest trends, technologies, and best practices. His background in infrastructure design, community planning, and resource management lends to a fully comprehensive understanding of our built environment, our energy use, and the potential impacts of climate change on local communities. Understanding that education plays a vital role in the advancement of the sustainability of our built environment, James has volunteered time through the U.S. Green Building Council (USGBC) and has conducted workshops and coordinated various events on energy and water efficiency strategies. He is a former member of the USGBC – Upper Northeast (US) Regional Council, a former member of the Board of Directors for the Los Angeles Chapter of the USGBC and a former member of the USGBC – Pacific Regional Council. 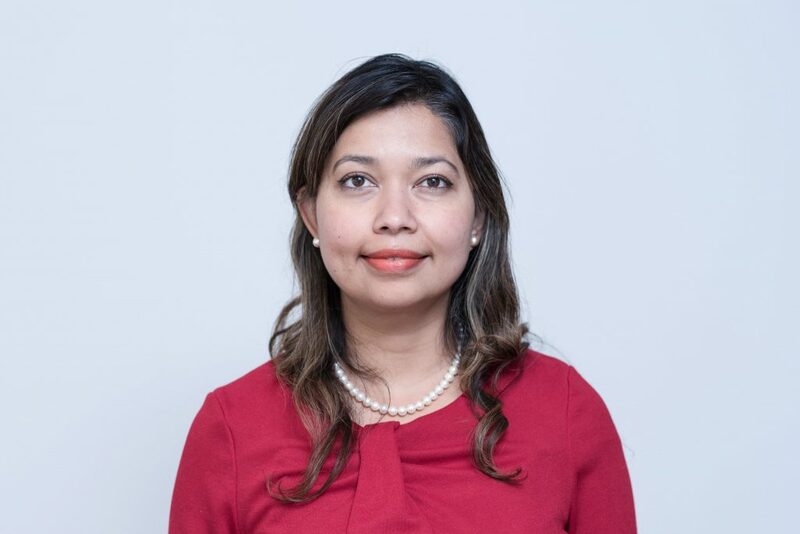 Sharon is a Partnerships and Infrastructure Specialist in the Bangladesh Country Office of UNOPS where she works to build coordinated and effective humanitarian and development programmes for UNOPS to implement on behalf of the UN group and other partners in Bangladesh. After becoming interested in the development and management of big cities as a student of Urban and Regional Planning at the University of the Witwatersrand, in Johannesburg, she worked in the public sector in South Africa for over 20 years. She has worked in National and Local Government in South Africa; and for intergovernmental programmes including South African Cities Network, Western Cape Economic Development Partnership, and Cities Support Programme. 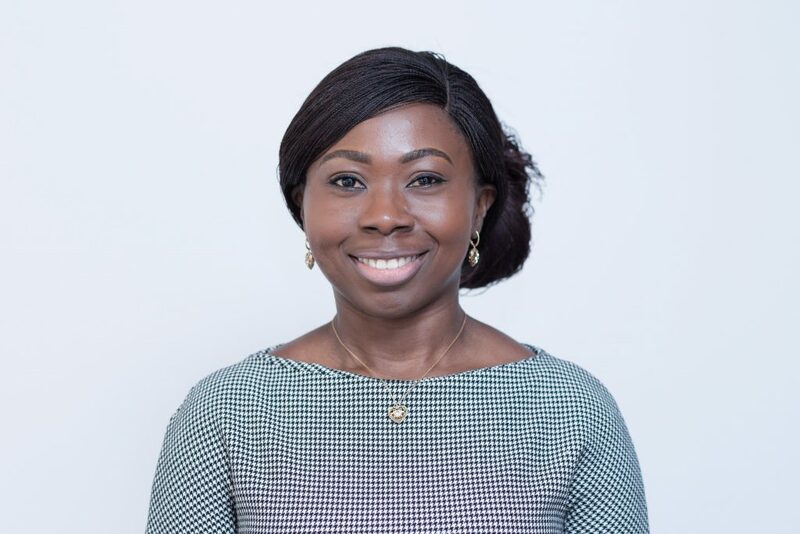 Her work experience includes urban policy, public finance, and city management; and her professional interests revolve around local government’s role in urban development and management; infrastructure and property investments to achieve inclusivity and sustainability; placemaking; and development partnerships. Daria is Head of PR department at Moscow City Government Press Service. Being responsible for liaison between the city government and the citizens, Daria has been involved in the process of implementation of grand-scale public projects such as Zaradie Park, renewal of 60s Soviet housing stock and construction of Moscow Railway Circle line. Alongside working closely with the policy-makers on major infrastructural and public realm projects, Daria has been engaged in monitoring and feedback process of several major e-platforms for effective dialogue between citizens and authorities and digitising the city government services. Daria holds an honours degree in International Relations from the Moscow State University. She has been actively engaged in State-led experimental project for government professionals ‘Technology Platform 2.0’, steering a group to investigate the development of intellectual systems and their beneficial use in local economies. She is also a guest lecturer at Moscow Government University and a delegate at international urban forums. W.P.J. McCarthy and Co. Ltd.
Bill has worked in real estate since graduating high school in 1978. In subsequent years, he has completed numerous university and professional programs in pursuit of professional and personal development. In 1988 Bill incorporated his own firm, where he develops, leases, manages and owns his own real estate portfolio, along with providing high level real estate consulting for selected third parties. Bill also does extensive pro bono work for several organizations and has served as an Officer and Director of numerous organizations. He is the Past President of the Real Estate Institute of Canada and has written three real estate course textbooks. Simon McPherson was born and raised in the suburbs of Melbourne, Australia. Trained as an Architect in Melbourne, he traversed into an urban design focus via early employment in the Victorian Government, then a Masters at London’s Bartlett School in 2005-06, after also spending two years living and working in Glasgow, Scotland, in 1999 and 2000. On returning from London, Simon founded a specialist Urban Design consultancy, SJB Urban, within a group of affiliated companies in architecture, planning and interiors, and built a prominent and highly regarded practice working in Melbourne and other Australian cities, with specialist capability in urban renewal, transport planning, strategic advice and design review. 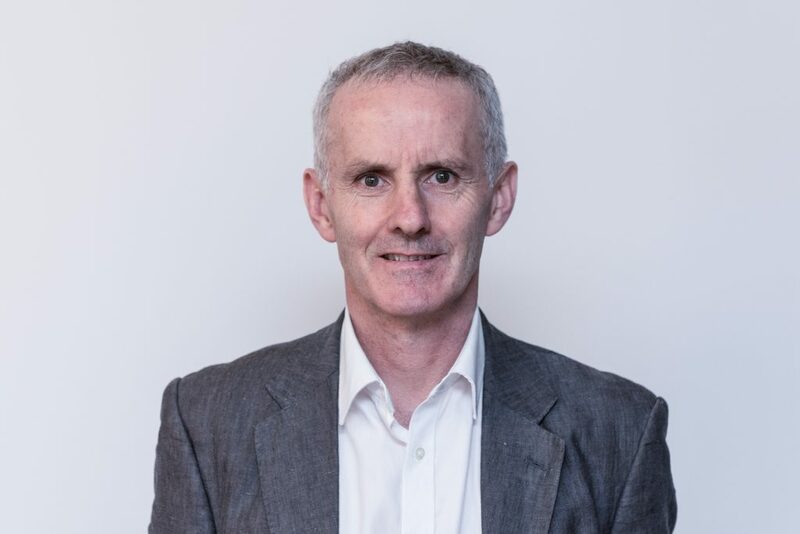 Simon also established major research initiatives in partnership with RMIT University in Melbourne, including the development of an award-winning prototype housing choice web app called Home:LiFE and leading research into housing careers and development dynamics. He has since departed SJB Urban to pursue new career directions, and has established Global South, an independent, researchfocused urban practice currently in early formulation, and has been enjoying diverse opportunities for collaboration, research, engagement and learning in the urban field. 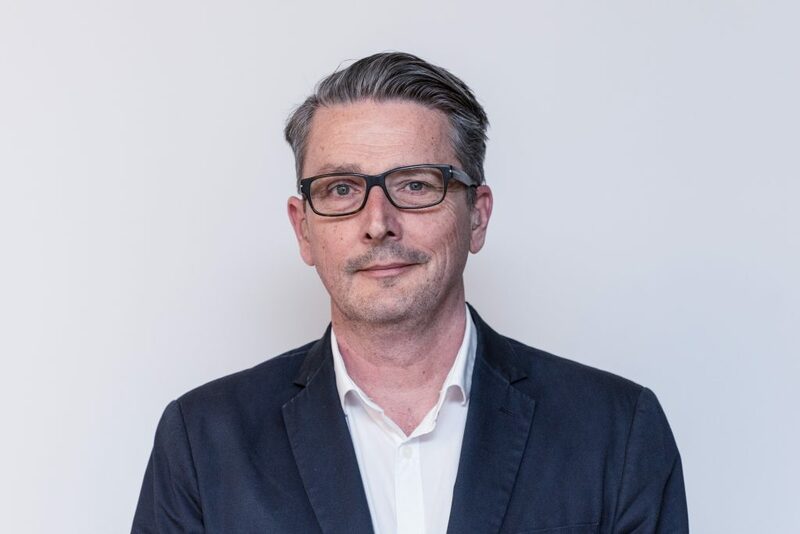 Simon is the Australian Institute of Architects representative on the Board for Australia’s Urban Design Protocol, and a member of Melbourne University’s Urban Design Advisory Board. 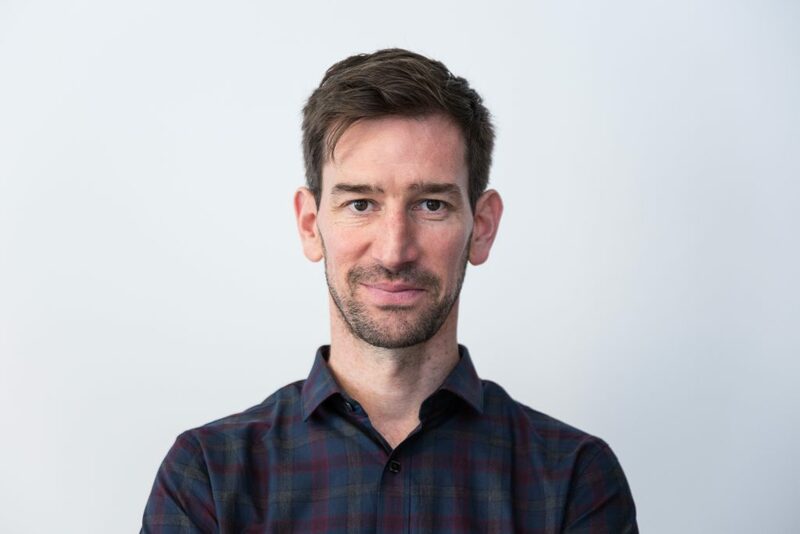 He is a member of the Design Review Panels for Victoria and South Australia, and is currently working with the New South Wales Government Architect, preparing an Architecture and Urban Design Policy and Design Guides for New South Wales. 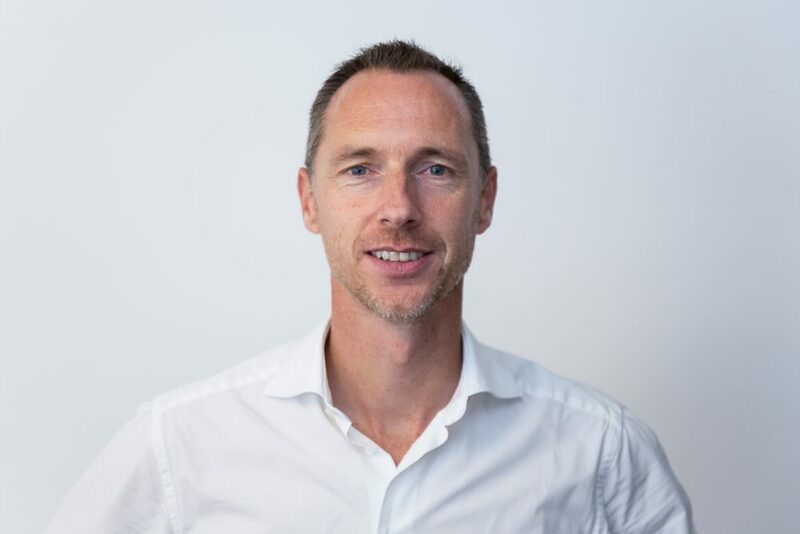 Simon has relocated to London for the duration of the Executive MSc in Cities, with his partner Robyn and children Sophie, 4 and Thomas, 2, and they are enjoying an exciting year of travel, rest, work and engagement in their respective fields. Roope co-founded Demos Helsinki in 2005 a hybrid consultancy and think tank that is best known for its work on government innovation. Past projects include setting up the experimentation model for the Finnish Prime Minister’s Office and similar work with other countries and cities’ executive governance functions. 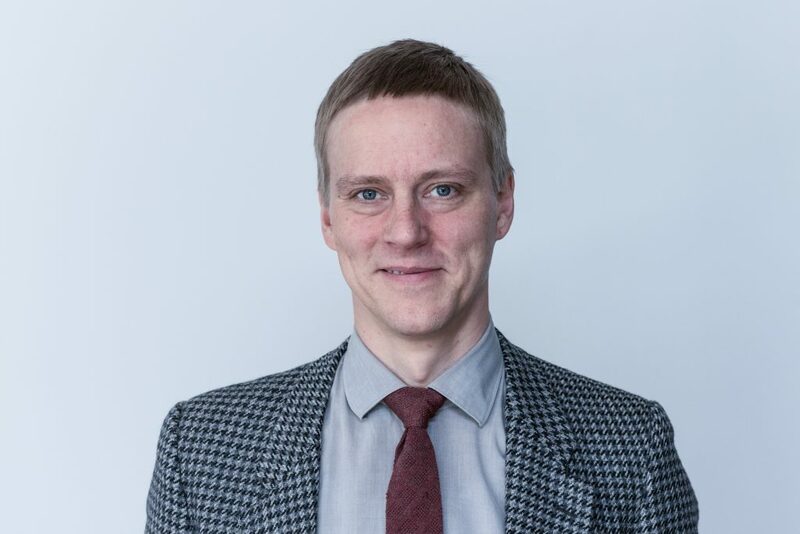 As an expert of societal change and innovation, Roope has fifteen years of experience working internationally with cities, governments, corporations and NGOs as a strategic-level advisor on future technologies, markets, and societies. He specialises in helping organisations weather transformations in the world around them and his work often involves cross-sector changes that influence the daily lives of individuals. In the context of cities, Roope has experience in activism, art, strategic visions and in planning and developing neighbourhoods. He has worked with city organisations, developers, transportation providers, start-ups, festivals, property owners and operators in developing urban areas and services. He has also authored and co-authored foresight publications from Finland’s country brand (2010) to the world’s first report on mobile games (2001). Melizza is an urbanist with a wealth of international experience in urban regeneration and disaster recovery projects. Until 2016 she served at government organisations in New Zealand leading the reconstruction and recovery of Christchurch city centre, after the devastating effects of the 2010- 2011 earthquakes. In her roles as Principal Urban Designer at Ōtākaro Ltd, and prior to this, as Project Design Lead at the Christchurch Central Development Unit, Melizza provided urban design advice for delivering some of the recovery plan major precincts and led the production of a longterm strategy for the reconstruction of the city’s public space network: The Christchurch Central Streets & Spaces Design Guide (2016 Best Practice, Strategic Planning and Guidance Award from the New Zealand Planning Institute). 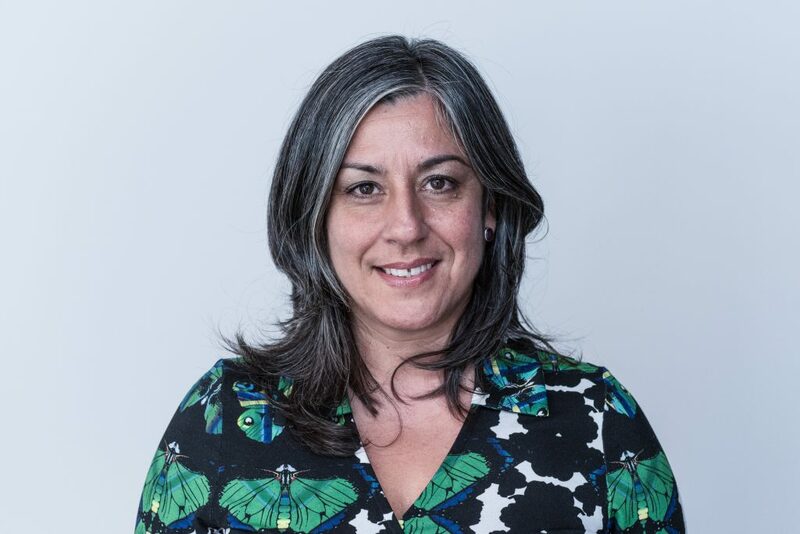 Between 2006 and 2013 Melizza held various positions with the Victorian Urban Renewal Authority in Melbourne, where she was involved in delivering two of the largest urban renewal projects undertaken in Australia, Revitalising Central Dandenong and Melbourne Docklands. Melizza began her career in urbanism at Bogotá’s Water and Sewage Company, overseeing the design and delivery of projects aimed at the ecologic and urban regeneration of waterways and wetlands, some located in Bogotá’s most disadvantaged neighbourhoods. 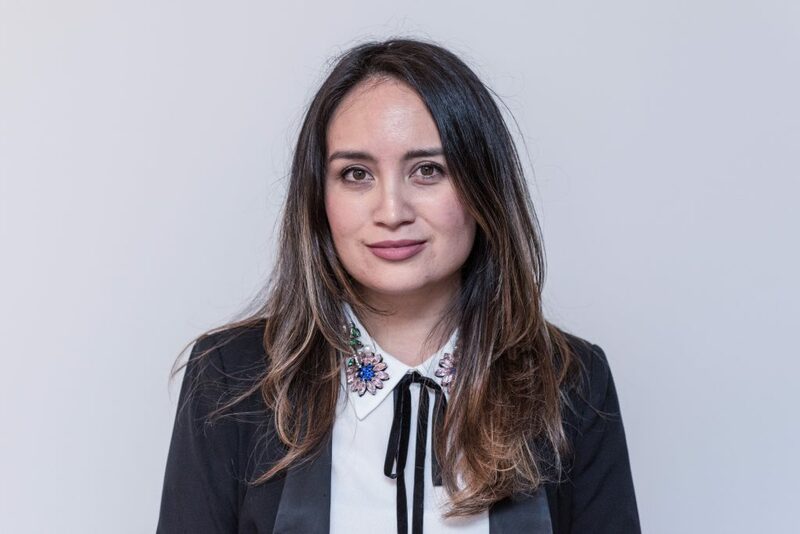 Melizza holds a Masters in Urban Design from Melbourne University and a Bachelor in Architecture from Los Andes University. Born in Colombia, she has also lived in Canada and Germany and will be based in Spain for the duration of the MSc in Cities programme. Melizza holds dual Colombian and Australian citizenship. Patrick is the Deputy Director Strategy and Business Development at Kampala Capital City Authority. He began his career in Uganda Revenue Authority as a Tax Auditor in 1993 and rose to Strategy Manager in 2007. 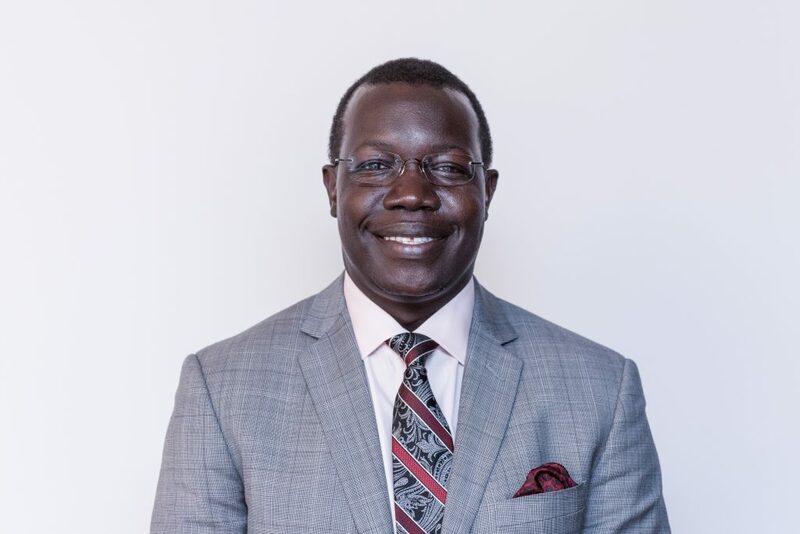 In 2011, Patrick left to join the Kampala Capital City Authority Restructuring Team and was appointed Deputy Director in Charge of Strategy Management and Business Development in 2012. Patrick Holds a Bachelor’s Degree in Statistics and Applied Economics and a Postgraduate Diploma in Income Tax Administration. He is a chartered accountant, a certified strategic planner under the Balance Card Institute, and a certified Balanced Scorecard Professional with the Palladium Kaplan and Norton Balance Scorecard Programme. Paul is National Programme Officer at the UN-Habitat Programme Support Office in Abuja. He works to advance a sustainable, policy-oriented urban agenda in Nigeria by promoting inclusive planning, improved access to housing and basic services as well as slum upgrading, in line with the Habitat Agenda. In this role, he was among others, Project Coordinator for the State of Osun Structure Plans Project which involved the development and adoption of Structure Plans to guide inclusive and sustainable growth in the state’s nine largest cities over a 20-year horizon. In his earlier media career at The Guardian Newspaper (Nigeria), Paul was responsible for developing coverage and local/global analyses of human settlements and environment issues. He has carried out advocacy on sustainable urbanization though contributions to several local and international publications, including the UN-Habitat’s State of the World’s Cities Report 2004/2005 and, the International Real Estate Federation’s THE HOMELESS: Perspectives by Sixteen International Journalists. Paul participated in the Leadership for Environment and Development (LEAD) Fellowship Programme and has served on the National Steering Committee of the GEF/UNDP Small Grants Project (SGP) in Nigeria. He holds both Bachelor’s and Master’s degrees in Architecture and obtained professional training in Environmental Journalism. Sashwin Pillai is a fourth generation decendant of the Indian Indentured Labourers who arrived on the Truro ship in Port Natal (present-day Durban) on 16th November 1860 from Madras (presentday Chennai). Sashwin was raised in Durban and derived his inspiration from struggle heroes Nelson Mandela and his grandfather Mr VSM (Mannie) Pillai. 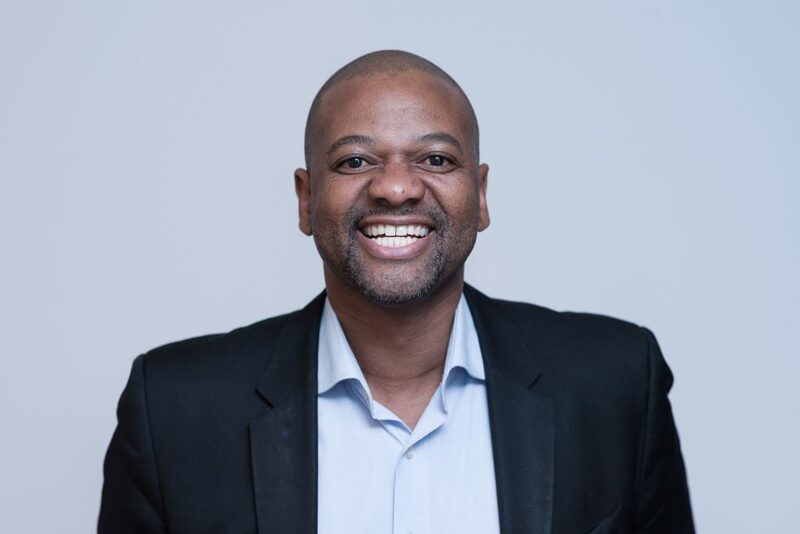 Sashwin remains a loyal supporter and member of the African National Congress and serves various corporate, non-profit, private and public sector clients. Sashwin is a sponsor of the Progressive Business Forum, KZN Blind & Deaf Society, Child Welfare South Africa, Nelson Mandela Foundation, Global Organisation of People of Indian Origin, Sathya Sai Organisation of South Africa and he supports various other charities, organisations, businesses and aspiring individuals. Sashwin graduated with a Bachelor of Arts (Honours) in Architecture at Oxford Brookes University and completed a Summer School Programme at the Architectural Association in London entitled ‘Multiplicities’. Sashwin is also a member of SKAL International Association of Travel and Tourism Professionals. He previously worked for Chartered Practice Architects and thereafter for David Chipperfield Architects in London. Upon returning to South Africa in 2003, Sashwin established Africa Vision and the business currently employs a range of professionals, specialist consultants and contract resources in accordance with the specific requirements of its various projects and programmes. 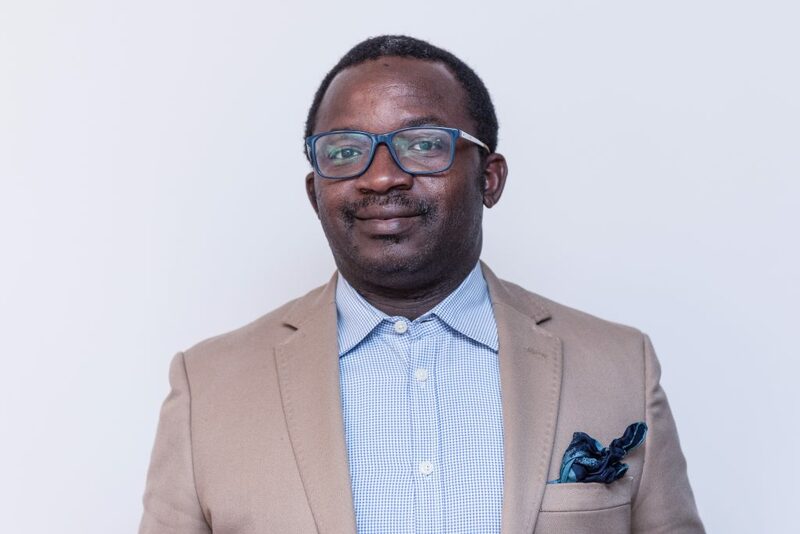 Sashwin serves on the Centre of Excellence Committee for the Barclays Africa Group and is currently appointed as Lead Consultant for 13 countries in Africa. 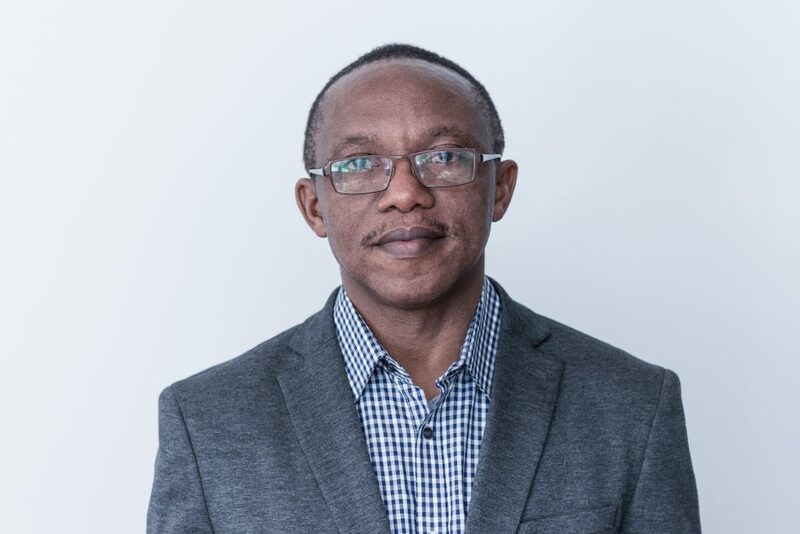 He is currently a member of the Strategic Project & Programmes Support Unit for Mbombela Municipality, an Expert Design Advisor to the South African Bureau of Standards in South Africa, and provides Programme Management services to various governmental and private sector entities in SA. An architect and urban planner with 20 years of experience in the USA, Europe, India and Africa, Rewati Prabhu is an integral part of the core team that started Frischmann Prabhu India in 1995. 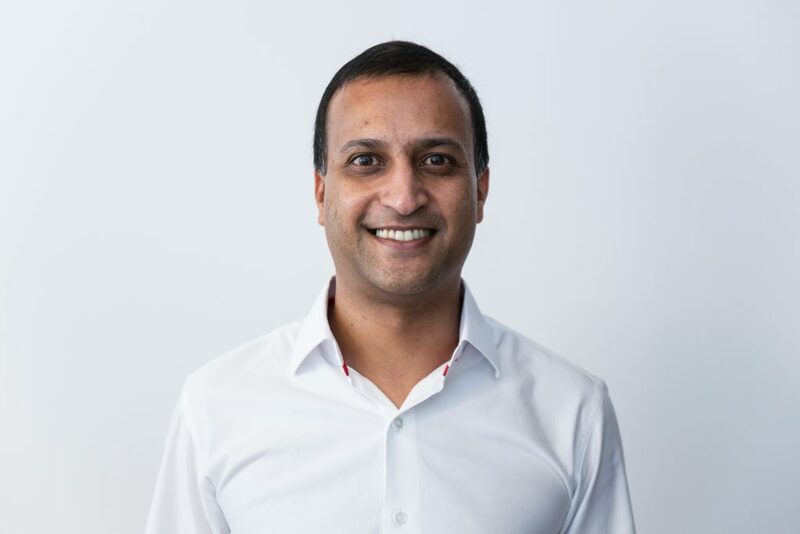 Rewati has led master-planning projects all over the world, including Pell Frischmann’s influential Low Carbon Infrastructure Study for Indian economic corridors, Konza Technology City in Kenya, and the Delhi Metro. She is currently advising Indian cities on sustainable infrastructure, sanitation and low-income housing and is particularly interested in protecting cultural and environmental identity while creating smart cities. Rewati co-created the Jagriti Yatra project, an innovative pan-India youth enterprise programme, which has nurtured over 600 new enterprises and has been replicated in the USA and in France. Alan Pullman is an architect and urban designer based in Los Angeles, California. He was raised in New York, and made his way to California after attending architecture school at Syracuse University. After practicing architecture for several commercial firms in the region he found a calling of sorts after working on a local community-driven revitalisation project. That project made him think more broadly about the responsibility of designers and the roles they should play in creating more sustainable, equitable and liveable cities. He started his firm, Studio One Eleven, in 2000, which has since focused on the repair and revitalisation of existing cities through master planning, infill architecture and building rehabilitation. Alan sees Los Angeles grappling with urban challenges prevalent in many other regions: finding the balance between growth and quality of life, protecting a fragile environment, overlaying new mobility options and infrastructure on an existing metropolis, addressing increased economic inequality, building social cohesion between communities, and bridging the divide between citizens and government. He looks forward to the LSE experience to broaden his thinking and share knowledge with his fellow participants. 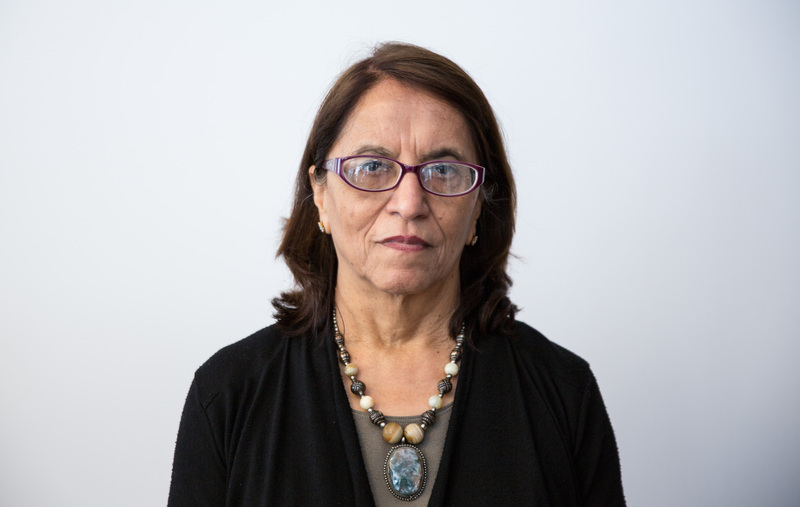 Over four decades of architectural practice in the USA and India, mostly in the public realm, provided Damyanti Radheshwar with many opportunities to contribute to planning and infrastructure projects - manifesting her interest in the larger realms of sustainable communities, to explore ideas about development, planning, and infrastructure. This brings her to London School of Economics and Political Science to study New Urban Agenda and Urban Governance at LSE Cities. Damyanti’s practice, D Radheshwar Architect + Urban Planner and Strategist (www.dradheshwar.com), based in New York is a collaborative model of working with interdisciplinary peer groups in the USA, India, and UK. Born and raised in Hong Kong, Melody has studied and worked in the U.S. and Europe, and is now based in Hong Kong/Shanghai. With 15 years of experience, she has been practicing in China for over a decade with a focus on urban place-making and sustainable development. 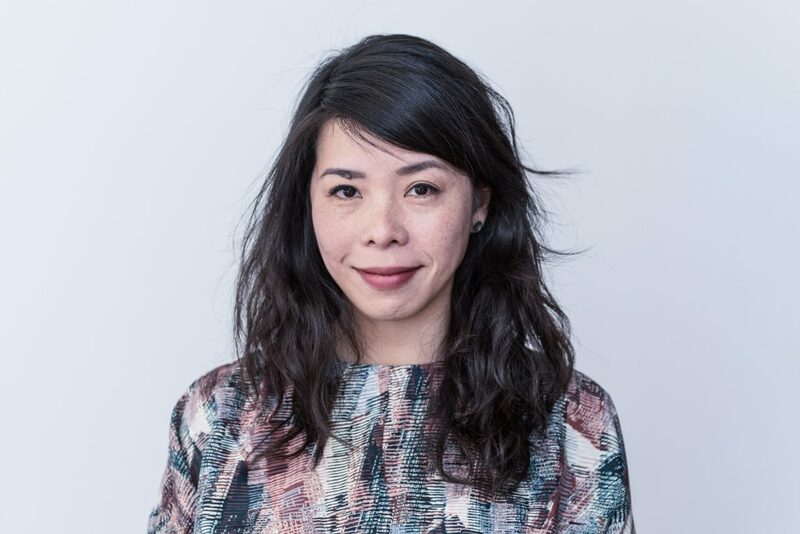 As senior associate and urban design team leader at Perkins + Will’s Shanghai office, Melody has led projects from new town master plan, tourism and mixed-use, to site planning for a healthcare and education institution. Since 2015, Melody was invited as studio tutor for an undergraduate design studio at the University of Nottingham Ningbo Campus and China Academy of Arts in Hangzhou. She recently coorganised a design-build workshop - “Living with Nature”, with participants from Taiwan, Japan and China, to explore the potential of community place-making at the rural village site. Through her practice and experience with both public and private sector, Melody’s aims are to facilitate meaningful collaboration through design, and to enhance the dialogue between stakeholder and the authority. Mika is an extrovert and middle-aged Finn, living in Berlin. He has a more than 25 years of international experience in telecom and Intelligent Transport System (ITS) industries. Recently, he worked as the Director, Business Development at HERE Technologies. Prior to joining HERE, he had various roles in telecommunications and Smartphones business in Nokia Corporation. 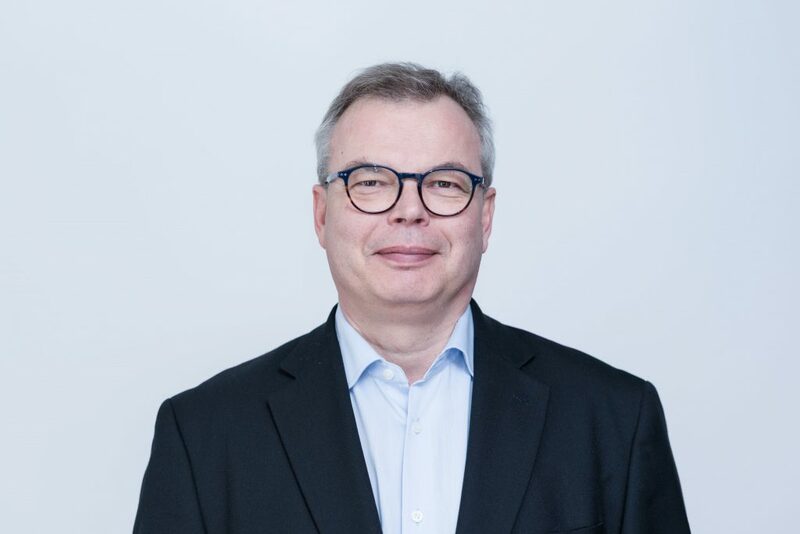 In addition, he has served as the first president and chairman of the board at the Car Connectivity Consortium (CCC) as well the supervisory board in ERTICO - ITS Europe. Mika holds a MSc. degree in Computer Science (University of Oulu, Finland) and an MBA degree in International Finance (Helsinki School of Economics, Finland). He has also been a professional coach in Finnish baseball. His team won the silver medal in the highest league in Finland at 1996. While not travelling, he enjoys golfing, playing ice hockey, reading, losing weight and being a father to his four children. Piyali works at TATA Consultancy Services, a 20 billion USD company, where she blends technology, innovation & industry expertise to drive growth opportunities and efficiency for the private & public sector. Cutting across transportation, ports, airports, cities and utilities, she incubates consulting & digital transformation programs exercising the adoption of artificial intelligence, internet of things, analytics and evolving technologies. Her work in energy management was awarded an industry best practice at the UK House of Commons. 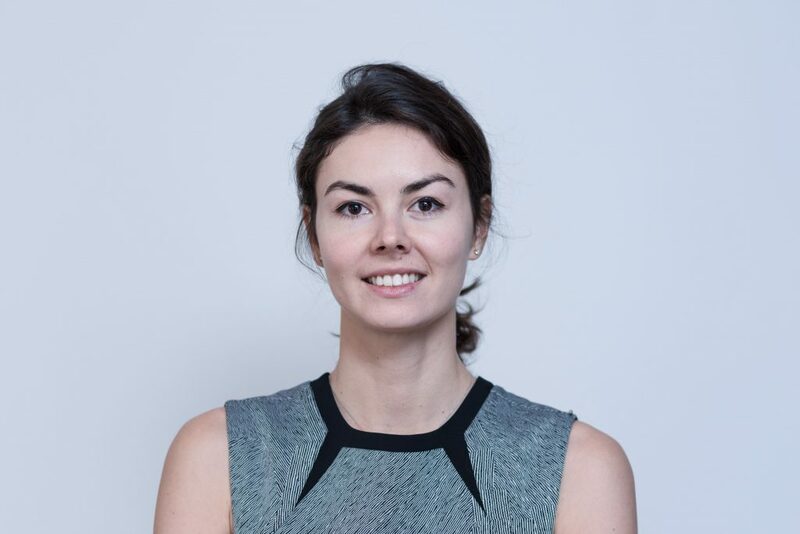 She opened doors for TCS into a new Central European market with the advocacy of an analytical model that forecasts consumer uptake of PVs & electric vehicles in urban & semi-urban regions. Other works include robotic process automation for verifying accuracy of utility bills, and predictive analytics to forecast breakdown of engineering assets. She has led the feasibility analysis of Bhutan’s Economic City. She is recipient of an award of endorsement by the Indian Parliament. A qualified architect & design thinker, Piyali has worked multi-culturally across Europe, Asia & Middle East with TATAs and Knight Frank. Having nomadically lived in Paris, Mumbai and global cities, Piyali found her home in London where she is now settled with her husband Indranil and daughter Tiasha. 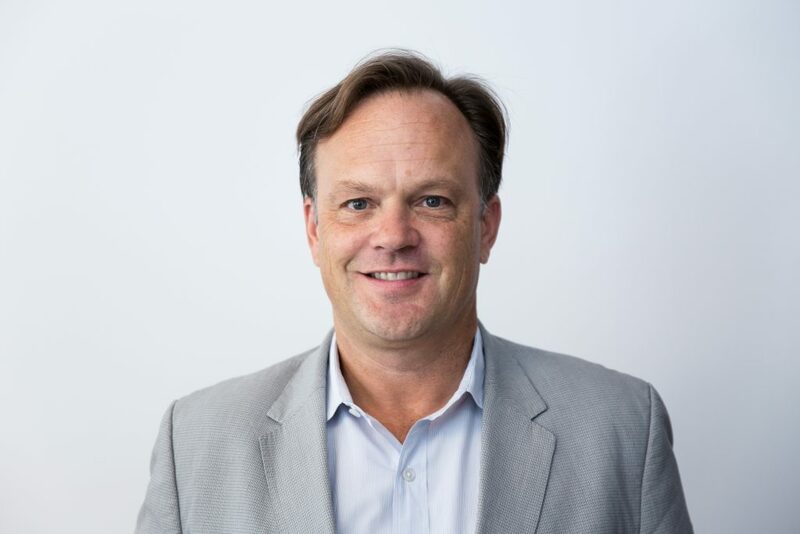 Mike Seyle is the US Regional President of Buro Happold. 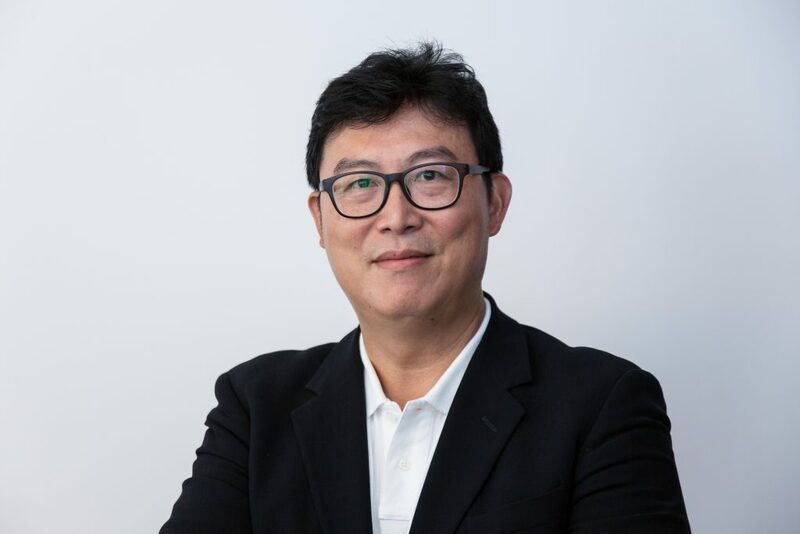 He was previously president and chief executive officer of WATG, an award-winning global design firm specialising in hospitality, luxury residential and mixed-use urban real estate development projects. The firm provides architecture, planning, strategic consulting, interiors and landscape design services for some of the world’s most prestigious companies, including Four Seasons, Disney, Ritz Carlton, Kerzner International, MGM, Hyatt, Marriott, Intercontinental, Hilton and Starwood. 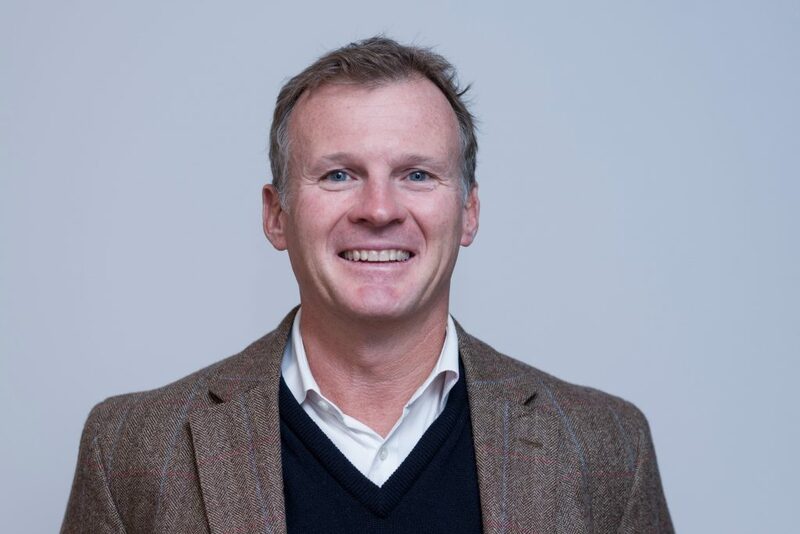 Since 2009, Mike has led the company through recovery from the global recession toward expansion to 10 offices in six countries, with annual growth averaging 5%, and transition of the company to a John Lewis-type employee trust ownership model. In 2015, Mike completed his doctorate in business and innovation from Georgia State University. He has an MBA from San Diego State University and a law degree from the University of the Pacific. Mike and his wife Michelle live in Twickenham with the youngest two of their five precocious children. Yondela is the Executive Director: Development Planning for the City of Johannesburg. She is responsible for the successful development of urban policy, and the conceptualisation and implementation of programmes, weaving together economic, social and sustainability objectives. Yondela also oversees operational responsibilities, including processing land use and building plan applications. Yondela has over twenty years’ experience in cities having led the National Urban Renewal Programme under President Mbeki. She also has extensive real estate experience from her tenure with the Public Investment Corporation (PIC), the largest asset manager in South Africa. She has a strong appreciation for strategic partnerships and has worked with the Global Environment Facility and the World Bank to advance some of the innovations she is pioneering for the City of Johannesburg. 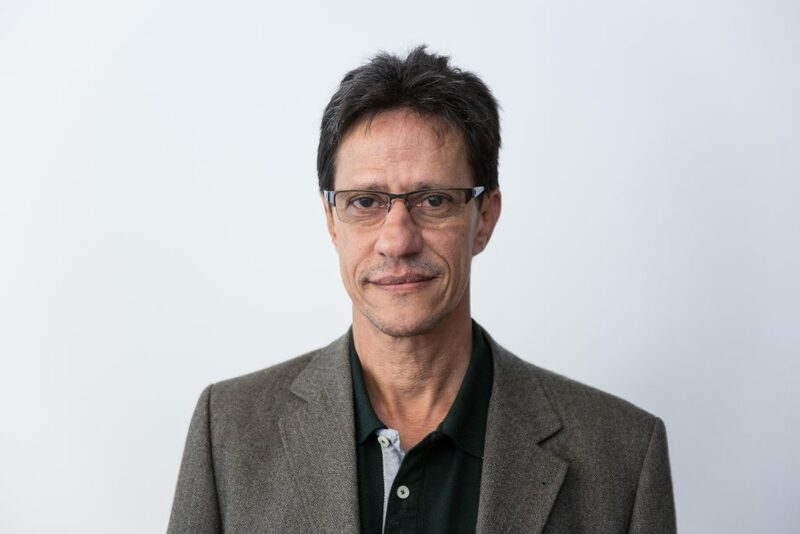 Alberto Silva has an academic background in Urban Sociology and more than 20 years’ experience in urban programmes at local government level in Rio de Janeiro and Angra dos Reis. He has also worked as an urban researcher and for civil society organisations. From 1991 to 1996 he worked at the City Hall of Angra dos Reis, implementing adult literacy and school democratic management programmes. For his work as General Coordinator of the Sanitation Programme of Angra dos Reis, Alberto was commended with a good practice award in 1996 at the Second World Urban Forum, Habitat II in Istanbul. He has since worked with ActionAid in Brazil and as Country Director at ActionAid Mozambique, restructuring the programme towards a rights based approach. In April 2010 he joined the Port Region Urban Development Company (CDURP), a Municipal Company in charge of implementing Rio de Janeiro’s Port Region Urban Consortium Operation (also known as Porto Maravilha - Marvelous Port). Initially acting as President Special Advisor, he became President of the Company in November 2012. Porto Maravilha’s main goals are: increase the population area, improve urban mobility, appreciate material and non-material heritage, and promote social inclusion. This is the largest urban reform project under implementation in Brazil, utilising an innovative institutional framework and funding mechanism, and a new urban governance model. Marc is the founder and managing partner of IngeniousPeoplesKnowledge Consultants (I-P-K), a Cape Town-based boutique consulting firm. I-P-K specialises in designing and facilitating participatory transformation processes in the public sector and international development. In the past 12 years, he has advised a wide range of clients, among others UN specialised agencies (such as the ILO, WHO, UNAIDS), bilateral development agencies (e.g. the German Development Agency GIZ) and international NGOs. 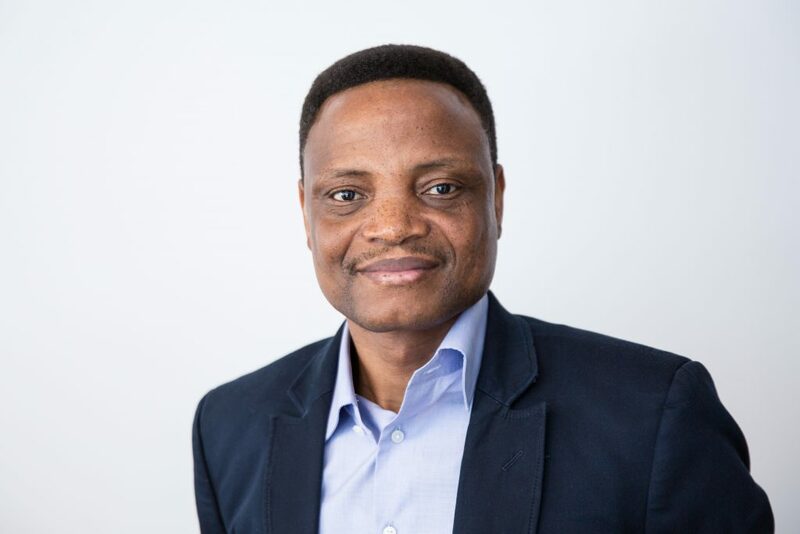 He advises on strategic processes, programme development, design thinking processes, knowledge sharing and team/network building by applying an approach that puts the complex nature of human systems, diversity management and participation at its centre. For the City of Cape Town, he contrived the participatory methodology for the 111 Wards Design Project in the framework of World Design Capital 2014. 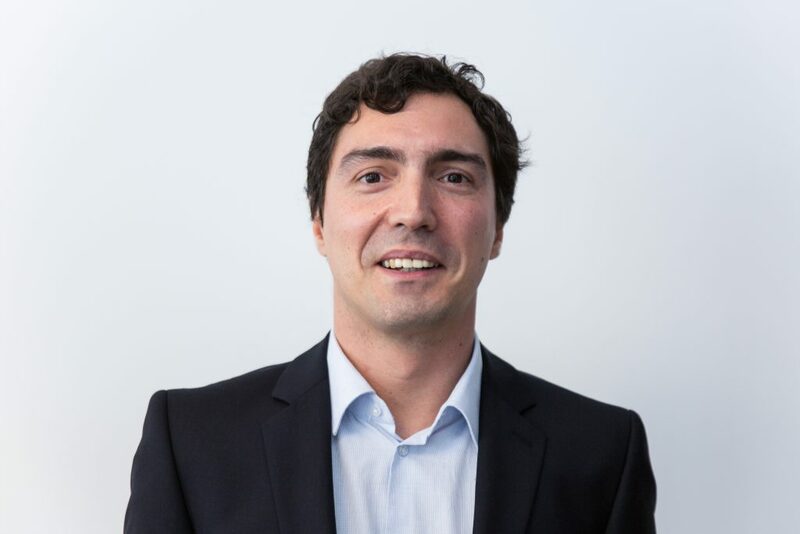 Marc started his career with Helvetas, the largest Swiss NGO in the field of international development as a technical advisor and programme manager for knowledge management. 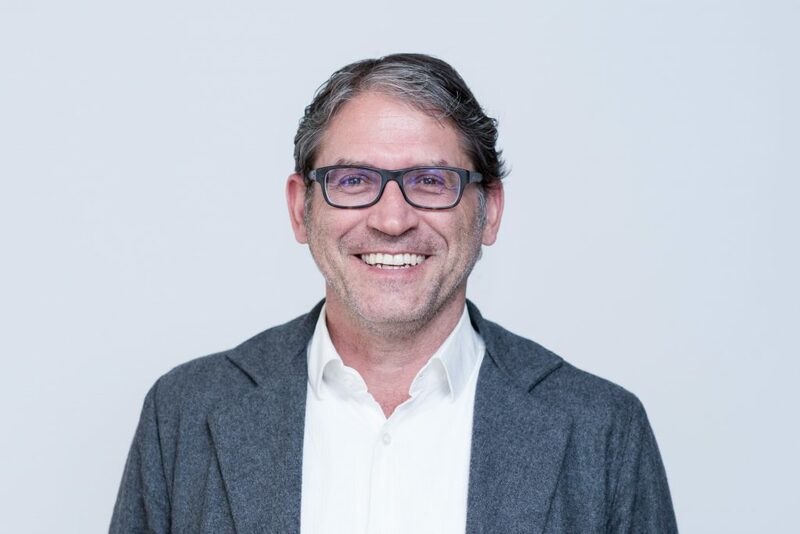 He holds a Master’s degree in Sociology and International Relations (University of Zurich), an Advanced Certificate in Development Cooperation (Federal Institute of Technology Zurich) and has developed his portfolio in change management through a wide range of specialisations. Tim is Executive Director of the William Factory Small Business Incubator located in the Seattle/Puget Sound Region of the United States. In support of entrepreneurship particularly for underrepresented and disadvantaged populations, Tim organizes programs, engages in corporate and college partnerships, provides recommendations for public policies and oversees funding of start-up business assistance services. 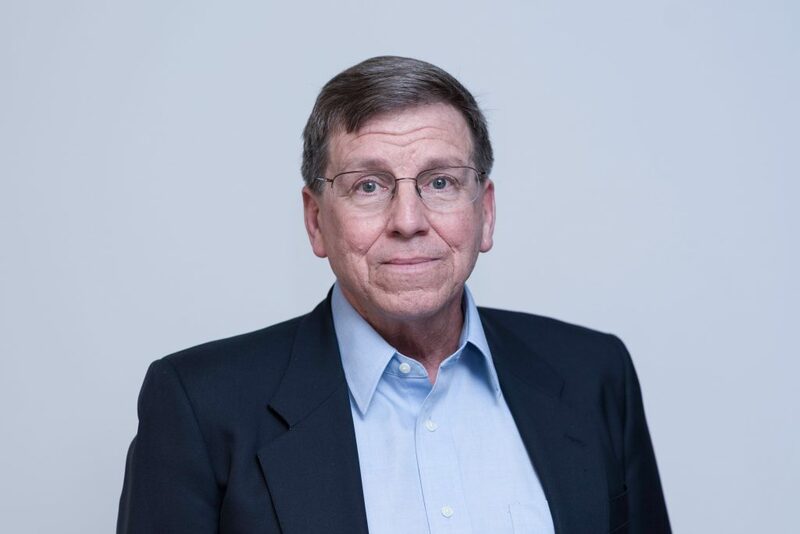 Tim is former Deputy Mayor for the City of Tacoma, founding Chair of Pierce Transit, founding Chair of Community Health, former Chair of the Pierce County Law and Justice Commission and former Chair of the Housing Task Force of the Growth Policy Association. Tim served as Chair of Tacoma Public Utilities, was Executive Vice-President of the Job Training Executives of Washington State and was Executive Director for the Washington State Council of Vocational Technical Institutes. Tim holds a Master’s Degree in Public Administration from Harvard University and a Bachelor’s Degree from Pacific Lutheran University. 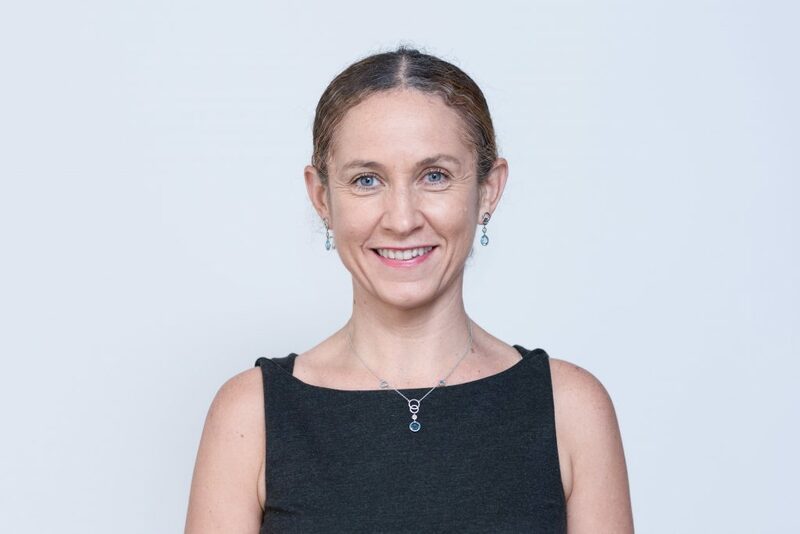 Efrat is CEO and founder of Gazit Globe Real Estate Institute at IDC, an Israeli private university where she teaches urban economics and real estate finance & investment while conducting applicable research on issues of housing and real estate. In addition to her work at IDC, she also works in housing development in Tel Aviv City. 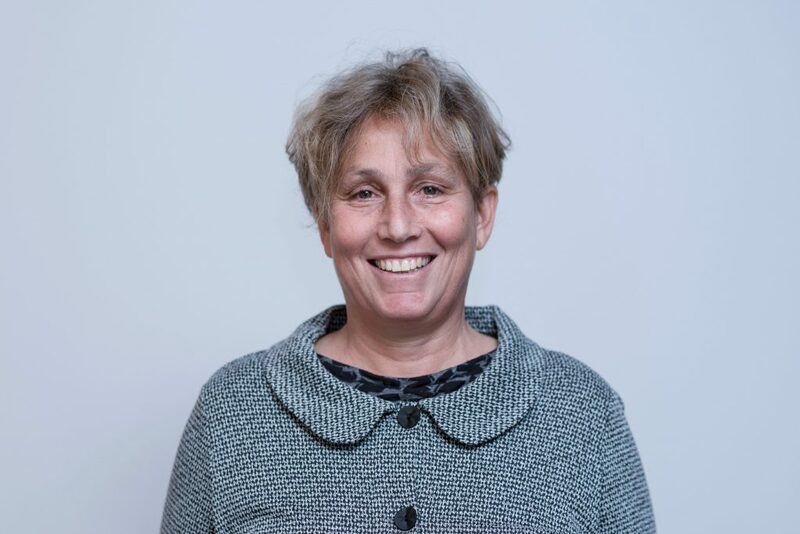 Efrat serves as a member of Tel Aviv City Council and has previously served as a board member for various firms owned by Tel Aviv city, including Atidim Hi Tech campus (co-owned by Tel Aviv University). She is currently a member of the Capital Market, Insurance and Saving Authority advisory committee and has previously served as a board member for various Tel Aviv Stock Exchange traded firms such as Bank of Jerusalem and Babylon. 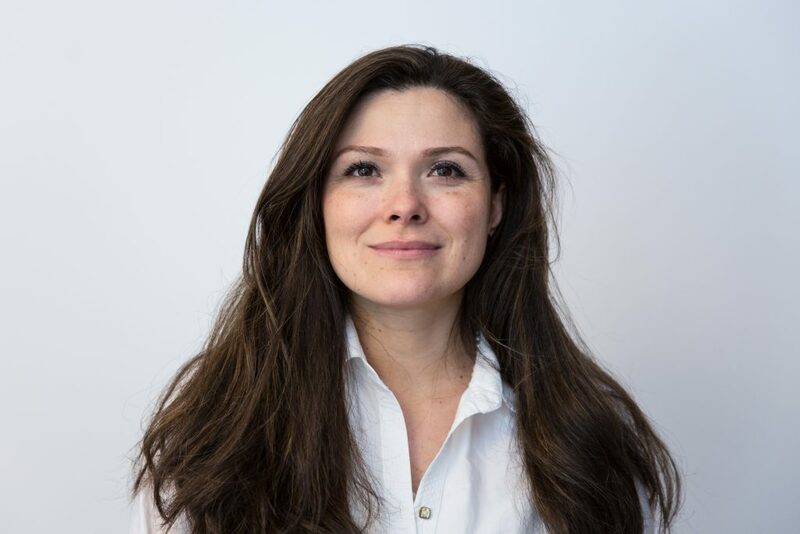 Natalia is a registered architect in her native Colombia with 15 years professional experience working on high profile projects in the UK, Middle East, Asia and Latin-America. She is well known for her passion in the front end design of large scale urban master plans, the collaborative thinking of global multidisciplinary teams and her great interest in the development of Latin America. Natalia studied Fine Art and Architecture in Colombia, where she founded and ran her own practice “Espacio 10” for 5 years, focusing on city interventions which included installations, performances and large video-projections in public space. She has since moved to the UK and worked with various British architectural firms, including Benoy, an international firm of architects, masterplanners and interior & graphic designers with 11 design studios in the UK, the Middle East and Asia. At Benoy, Natalia is a Senior Associate Director. She specialises in the front end design of large mixed-use schemes and retail-led developments projects. She is also responsible for identifying and exploring new business opportunities in the Latin America region and is currently leading projects in Colombia, Panama, Nigeria, Cameroon and India. Santiago is the Chief Resilience Officer (CRO) for the City of Medellín, a city member of the 100 Resilient Cities Network, pioneered by the Rockefeller Foundation. 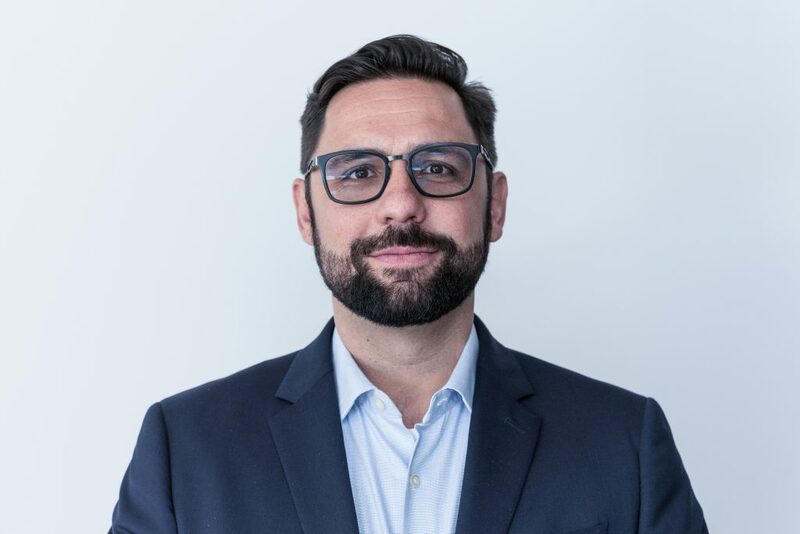 Prior to becoming CRO, Santiago worked for three years as Executive Director of Social Innovation at Pigmalion Consulting. There he coordinated a number of research programs on topics ranging from disaster risk management to local youth’s reproductive and mental health. From 2007-2010, Santiago served as Administrative Assistant of Cultural and Economic Affairs at the Embassy of Colombia to the Republic of South Africa, where he coordinated official visits to Bogotá and Medellín to exchange experiences and expertise for the implementation of the Bus Rapid Transit Systems in cities including Cape Town, Johannesburg and Nelson Mandela’s Bay. In his appointment at the Embassy in Pretoria, Santiago was also actively involved in the organization of systematic exchanges between Colombia and South Africa in issues related to the peace process in Colombia, including organizing an official visit of former President F.W. De Klerk. He received his Bachelor’s Degree in Anthropology from the Universidad de Antioquia and was a visiting student at the University of the Witwatersrand in Johannesburg. 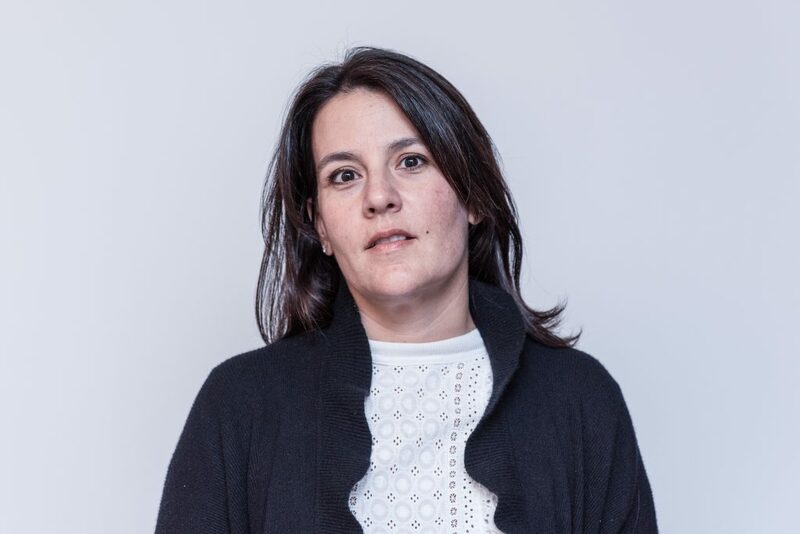 Cecilia is the Programme Director at the Bernard van Leer Foundation, a Dutch foundation devoted to global work in early childhood matters, where she is responsible for the management and implementation of a global strategy. In this role, one of her main objectives is to help scale effective programs and policies where city leaders, urban planners, architects, and innovators experience the city from 95cm (the height of a healthy three-year-old child) to really help change the landscapes and opportunities that shape young children’s lives. Prior to joining the Foundation, she was the Coordinating Minister of Social Development of Ecuador. In this position, Cecilia was able to help create, evaluate and adjust strategic policies in vital areas of social development including early childhood, social security systems, education, healthcare, urban development and poverty alleviation, always taking into account the diversity of cultural backgrounds in Ecuador. 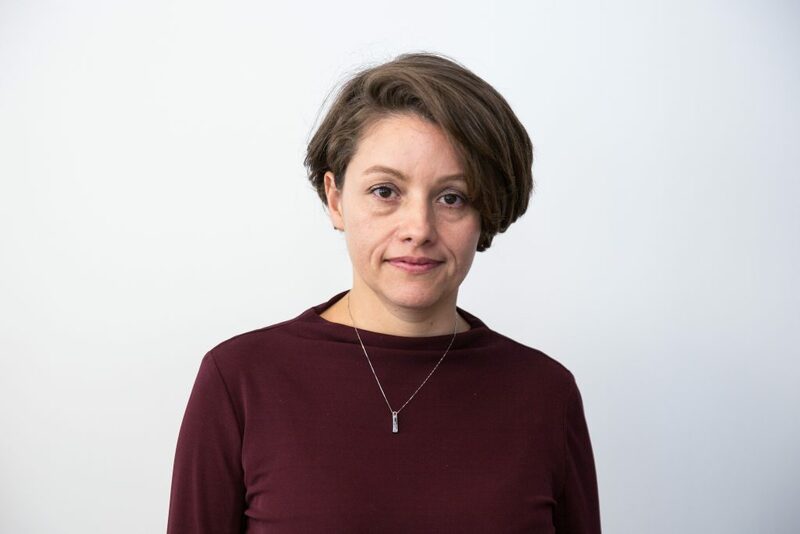 Cecilia has over 15 years of experience managing social development policies and programmes and she holds a master’s degree in Social Policies for Sustainable Development (Bologna University) and a BA in International Relations (Pontifical Catholic University of Ecuador). Maria is currently serving as the Deputy Mayor of Vienna. She has been a member of the city government since 2010, responsible for several agendas including urban development and planning, energy planning, climate protection, mobility and transport, participation, and Vienna’s smart city agenda. Maria has been engaged in city politics since 1996, first serving as a City Counsellor and Green Party speaker for immigration, human rights and diversity affairs. She later served as a member of government without portfolio and, from 2004 to 2010, as the head of the Green Party of Vienna and the Green Parliamentary Group. During her time in city politics she has been highly active in exchange and cooperation with cities all over the world and is currently responsible for the implementation of the cooperation memorandum between Vienna and Athens. Maria’s first steps in politics took her to the Austrian Students Union where she served as the elected representative of all foreign Students in Austrian Universities and later as the Secretary General of the Students Union. She holds a Master’s degree in Linguistics and Psychology from the University of Vienna and has worked as a Research Assistant at the Department of Linguistics. 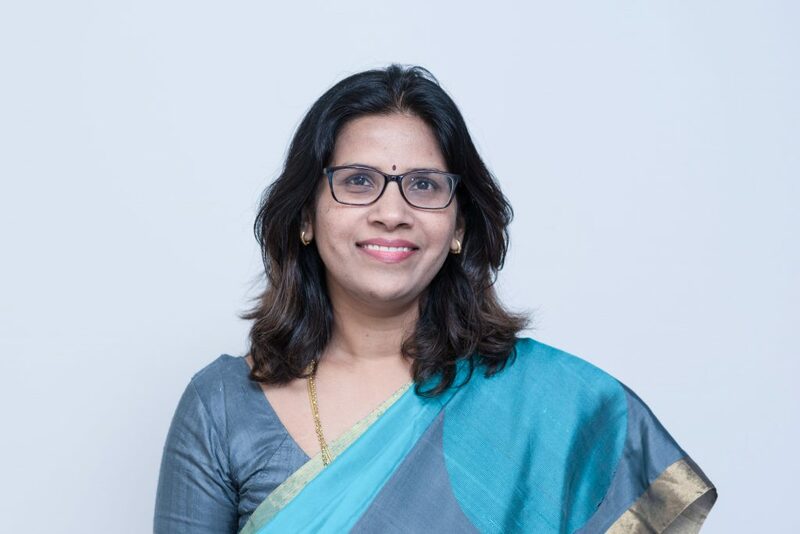 Prajakta is a civil servant currently posted as Joint MD CIDCO in Navi Mumbai and is responsible for commissioning of the largest greenfield airport of the country in Navi Mumbai. She is also working on planning the airport influence and notified zone of about 350 sq kms as a Special Planning authority. This is her first role in the area of urban planning and development. In her earlier role as Joint Commissioner of Sales Tax, she was in charge of investigating tax evasion crimes in the financial capital of the country viz. Mumbai. Prajakta has also worked in the area of water supply and sanitation in peri-urban areas within the State of Maharashtra. Her district stint equipped her with field experience in tackling the problems of malnutrition, open defecation and enabled her to successfully spearhead collective action in micro credit for women and sanitation among children. 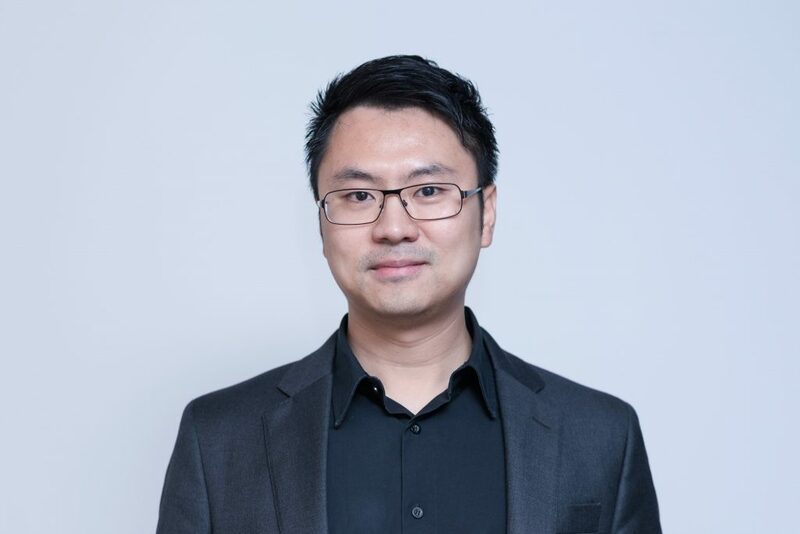 Raymond is an Associate Director of AECOM Ltd and is based in the Shenzhen Office, China. He is also a member of American Planning Association with LEEDGA certification. Engaged in urban planning and urban design works for more than 12 years, Raymond has participated in various multi-scale urban planning and design projects at different stages as well as being skilled in methods of urban research, land use planning and diversified scale urban design across the Asia-Pacific region. Raymond has completed a number of urban planning and design works and has solid professional skills and familiarity with the procedures in all aspects of urban projects such as mixed-use development, new township planning, tourism & hospitality planning, infrastructure orientated developments and strategic comprehensive planning across the Asia-Pacific region. For the past six years Stephen has been working as Chief City Architect in Aarhus City Council in Denmark. Previously he was partner in the internationally renowned company Schmidt Hammer Lassen Architects where he was responsible for developing international activity and research and development. He has also held the position of Associate Professor in Architecture at Aarhus School of Architecture for many years. The combination of working in private practise and public office combined with research and teaching enables a keen understanding of the complex processes and demanding roles and responsibilities architects and planners at political and local community level as well as in a global perspective. As chief city architect, Stephen is special advisor to the Councils Politian’s. 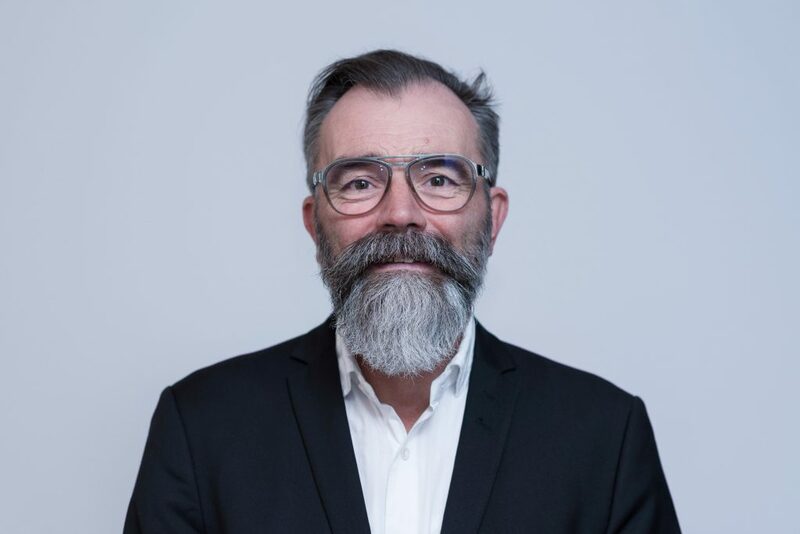 He works as an intermediary and ambassador for architecture and sustainable urban development for Aarhus Municipality and brings essential insight and experience into relevant forums, inspiring and influencing key decision-making processes relating to Aarhus’ future. Kevin is currently the City Manager for the City of Thornton, located at the base of the Rocky Mountains in Colorado and has a rapidly growing population of 140,000. As City Manager, he oversees a workforce of 950 personnel with responsibilities that include all aspects of municipal management. Prior to Thornton, Kevin was the Town Manager of Stalling, NC for three years. Before beginning municipal work, Kevin spent three years as Vice President for Versar Inc., overseeing major US construction programs throughout Afghanistan. Kevin’s professional background includes twenty-six years as a US Army officer. He was branched and served in the US Army Corps of Engineers and had multiple command and staff assignments throughout the US and abroad. His final military assignment was as Deputy Commander for US Army South in San Antonio, Texas. Wen-Chih Yao has been a member of Taiwan’s parliament since 2012. A journalist and political scientist by training, he aims to run for mayor of Taipei in 2018. Wen-Chih served as the Director of Information Office, and then the Deputy Secretary-General in the municipal authorities of Kaohsiung, Taiwan’s second-largest city, between 1998 and 2003. He strived to foster a civic pride in Kaohsiung through facilitating visually inspiring public works, advocating historic conservation and organising mega-events. In 2005, he was promoted to the cabinet as Minister of Information Office and held the post for a year. Since being sworn in as a legislator, he has retained a seat on the Internal Administration Committee (which he has also chaired), and proposed various law amendments to protect and enhance public interest through strengthening disaster preparedness and economic development aspects of the built environment. In 2014, Wen-Chih won the Taipei mayoral primary with the Democratic Progressive Party, now Taiwan’s ruling party. The theme of his campaign was a call for the closure of the Taipei Songshan Airport, which lies in close proximity to the city centre. This will enable the lifting of building height controls in large parts of the city that will facilitate urban renewal and the establishment of a new vast urban park using the old airport site. Determined to make his second attempt, Wen-Chih is very keen to lead the spatial revolution in the Taiwanese capital. No results found. Clear search filters?